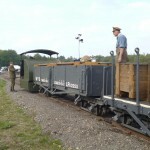 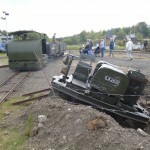 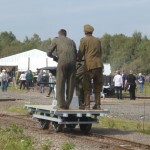 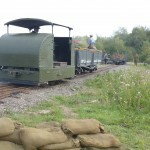 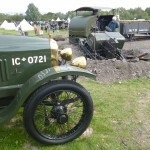 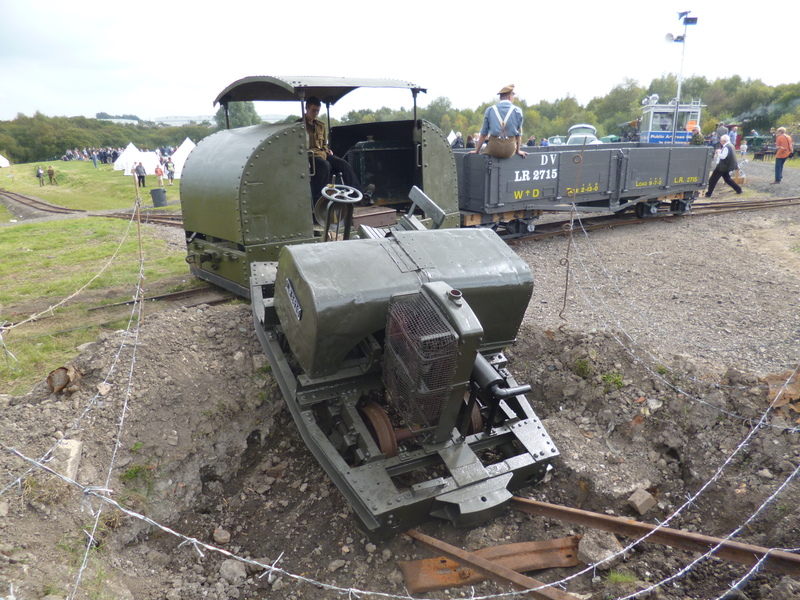 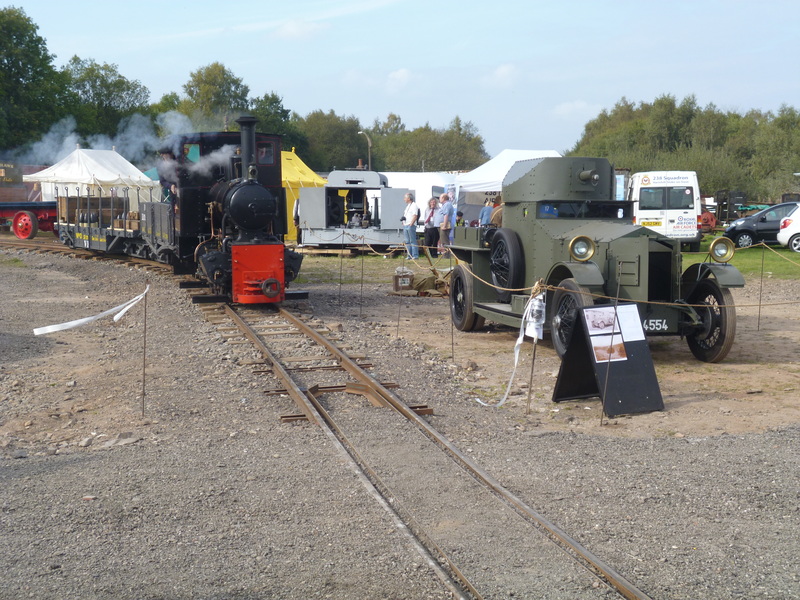 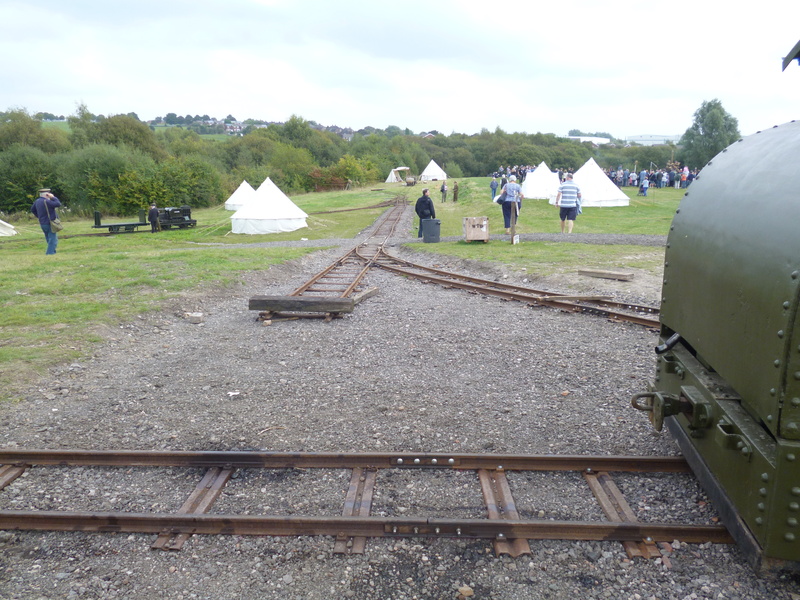 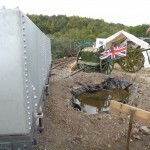 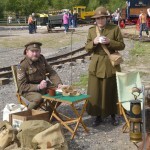 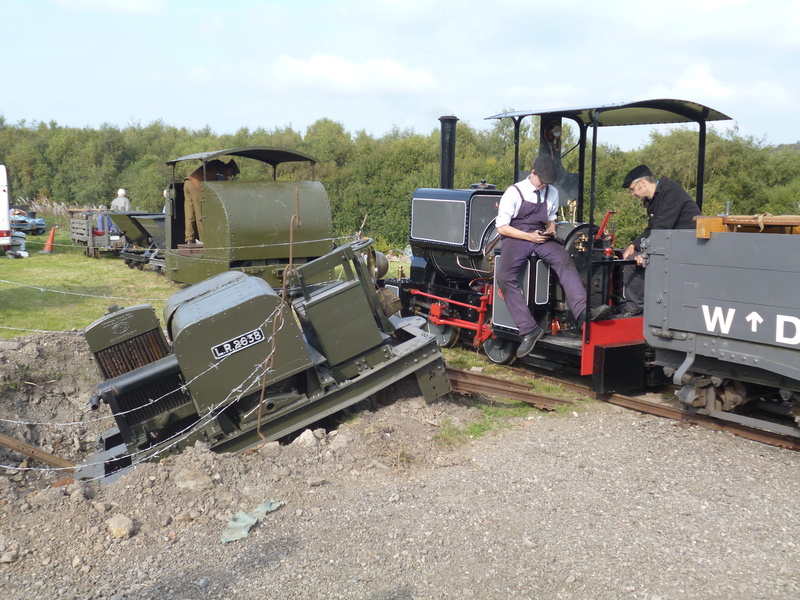 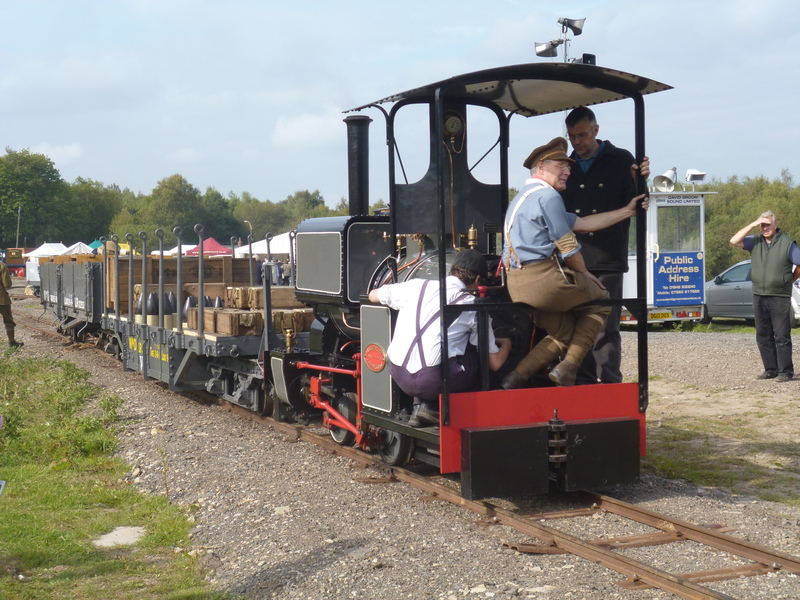 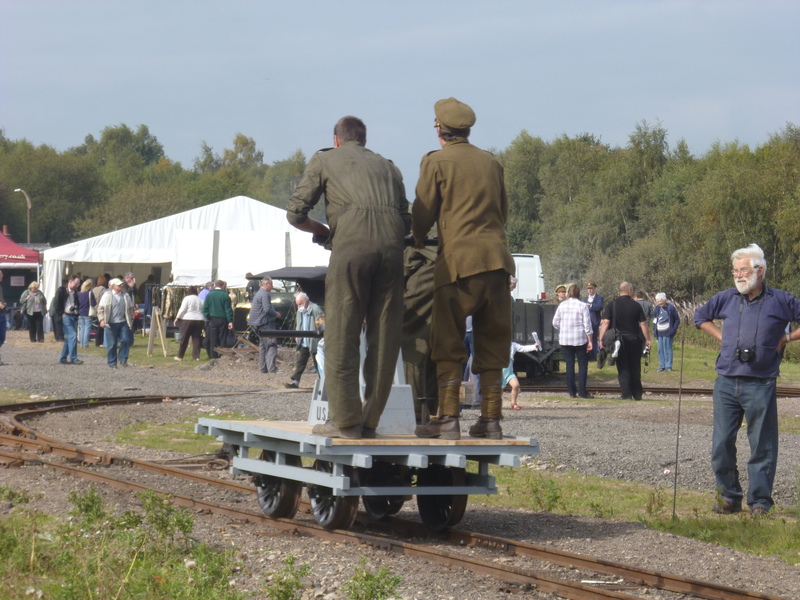 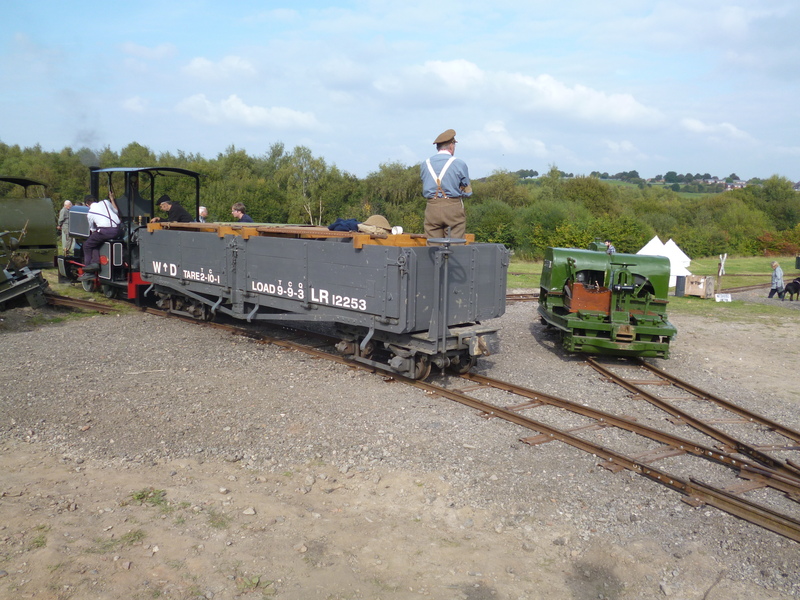 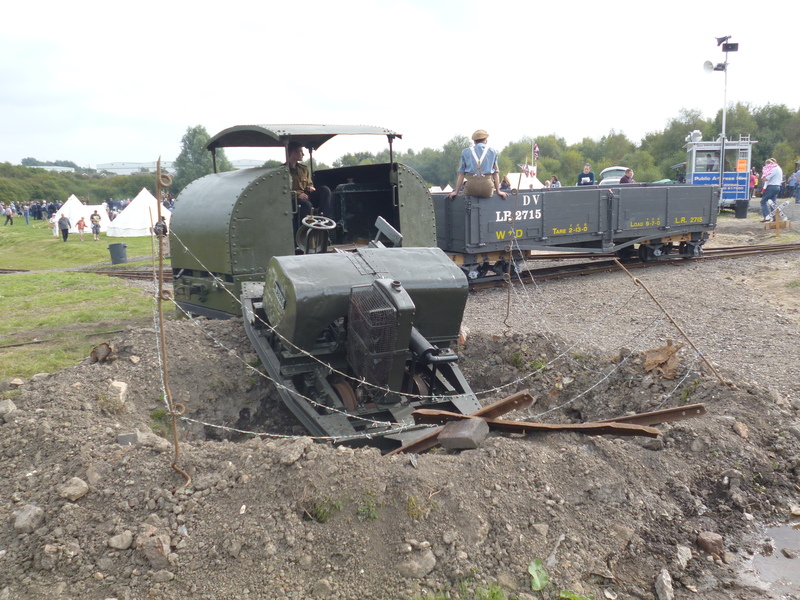 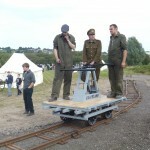 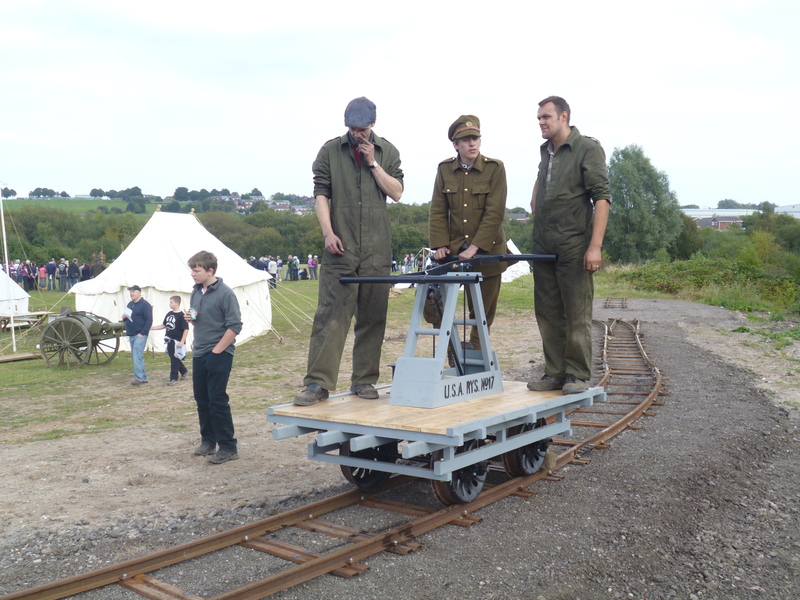 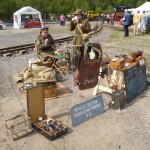 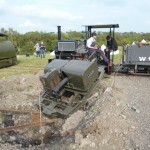 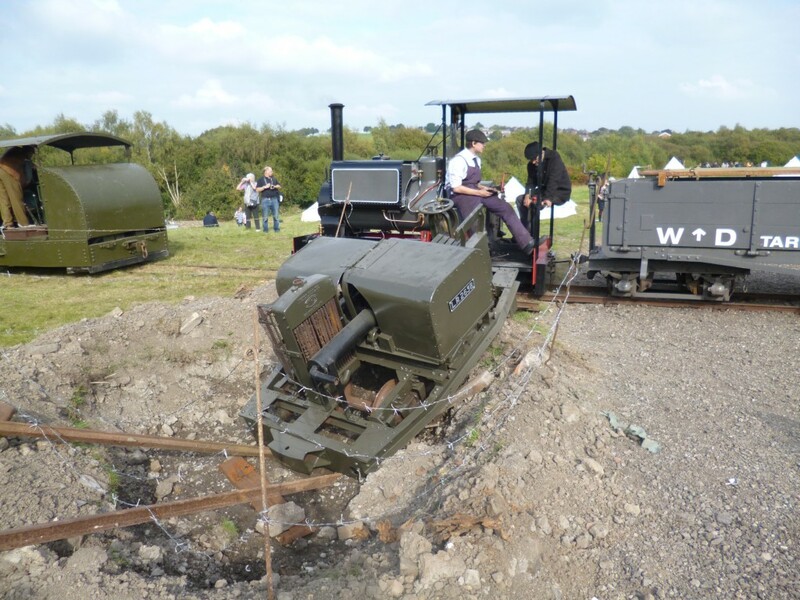 Last weekend saw the culmination of years of work and preparation by members of the Moseley Railway Trust, with the successful and impressive ‘Tracks to the Trenches’ event, marking 100 years since the start of the First World War and looking specifically at the role of narrow gauge railways in the conflict. 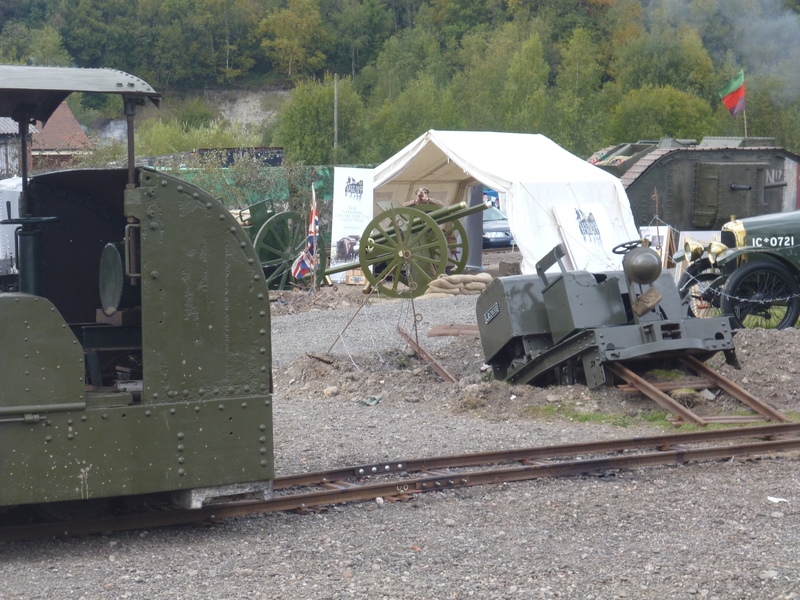 This role was one of some significance, as light railway networks grew to support the war effort as the two sides stagnated on the Western Front, no longer relying on rapid cavalry attack but instead entrenched and engaged in the ultimately futile exchange of munitions along the Front Line for which a substantial logistical effort was required to supply men, machines and guns at the front. 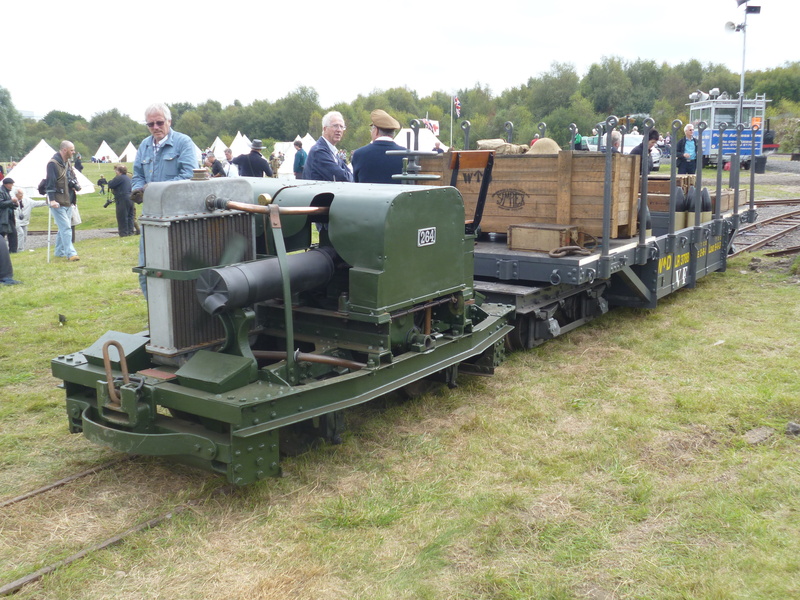 The French and Germans developed their railway systems early, the British leaving it somewhat late and having to rely on a hasty catch-up exercise well into the war, but from which some significant railway equipment designs appeared. 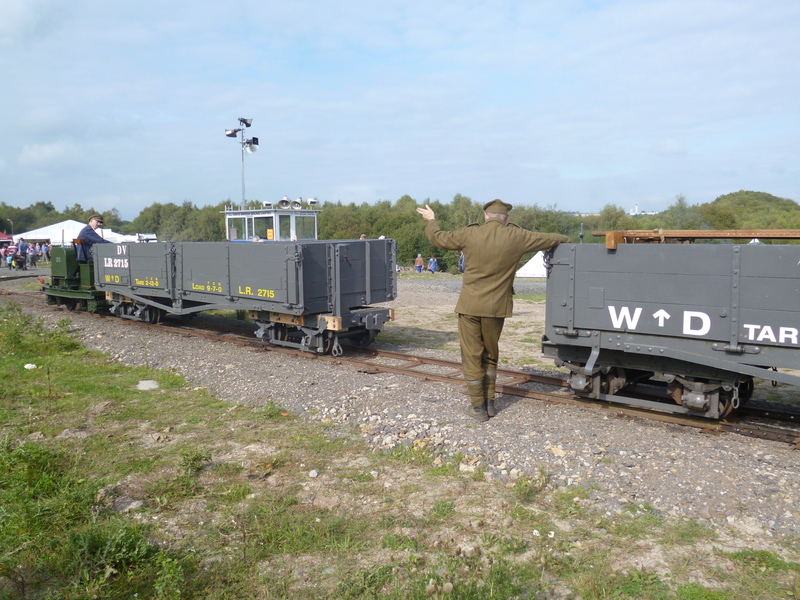 With support from the USA, a vast network or railways were built, to match those developed by the Germans, with both sides utilising the French infrastructure as well as each other’s whenever the generally inflexible front moved any significant distance. 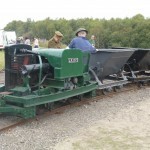 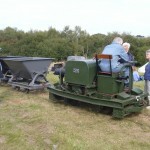 The team from Moseley, which operates the Apedale Valley Railway near Newcastle-under-Lyme in Staffordshire, had adapted a significant area of land adjacent to their main operation, to include narrow gauge field railway and branches, trenches, display areas for cavalry and a replica tank as well as brought together an unrivalled collection of appropriate equipment, many items of which had been restored just in time for the event. 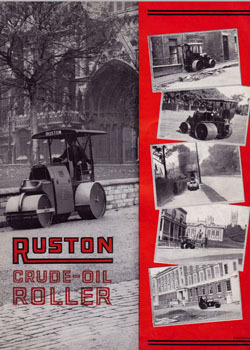 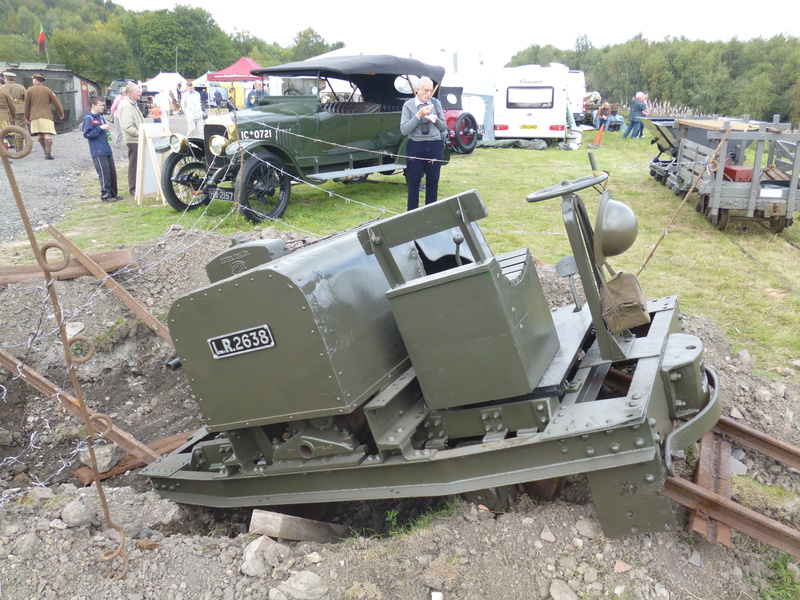 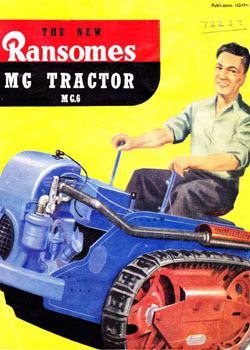 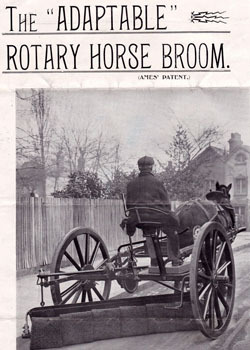 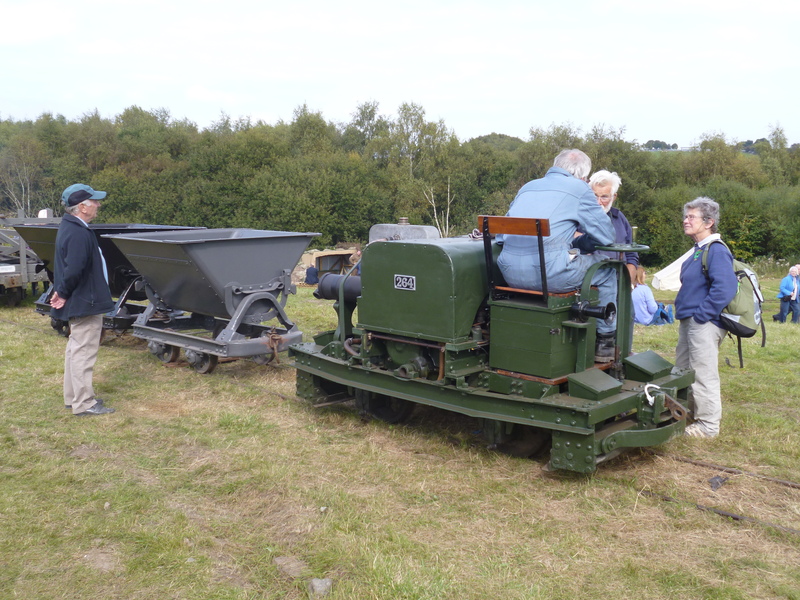 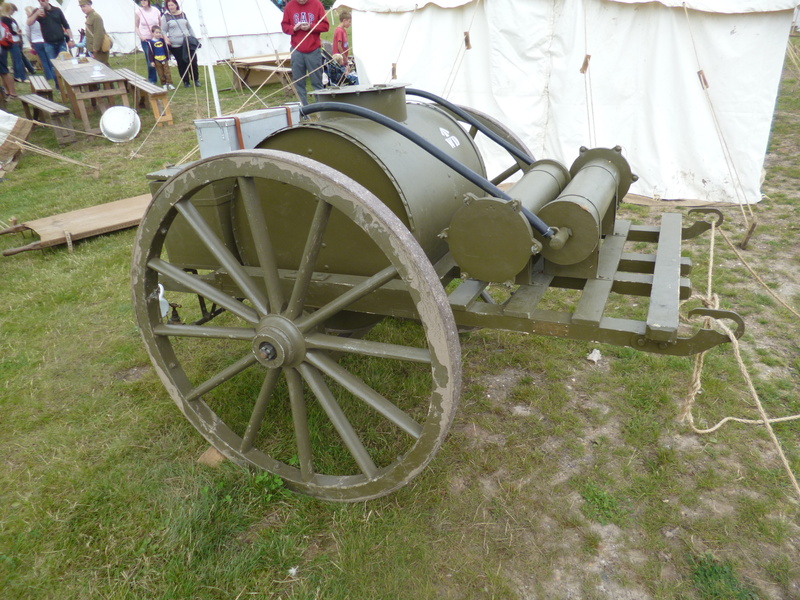 Many more exhibits than were billed were present, not least the apparently now numerous 20hp Motor Rail petrol tractor type, known as ‘Bow-frames’ – which appeared in some profusion across the event! 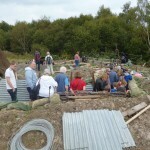 The team have done a magnificent job and I am sure are now tidying it all away wondering if it really happened! 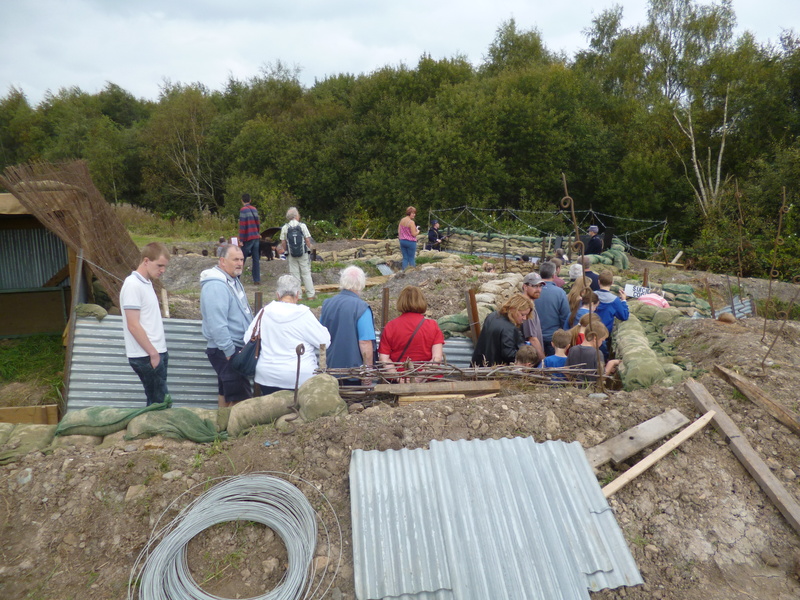 But they have certainly set the bar very high for any future such events, both at Apedale and nationally. 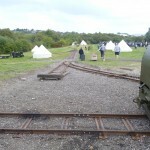 Here are some photographic highlights from the last day of the event, as well as a gallery of many more images taken. 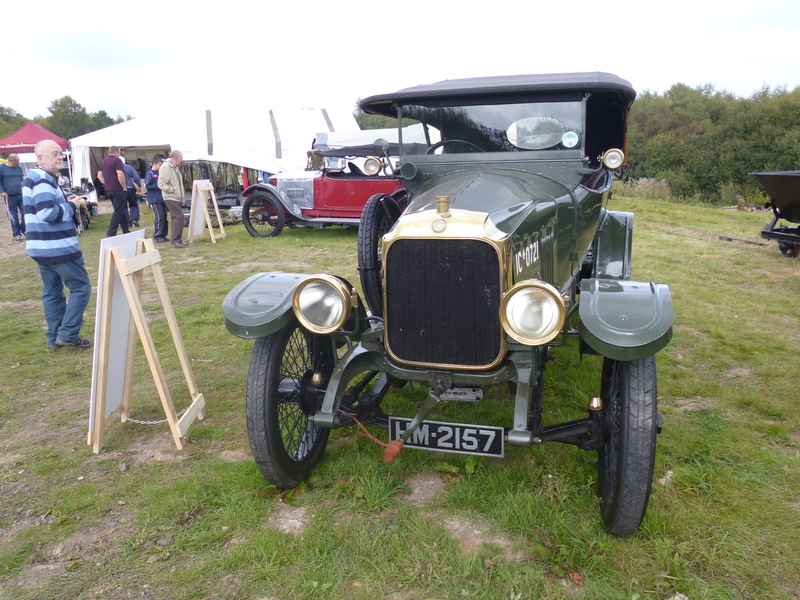 Below: One of the stars of the show (and there were many!) 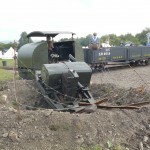 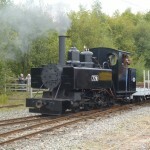 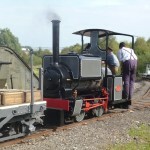 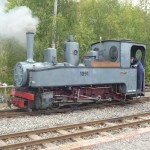 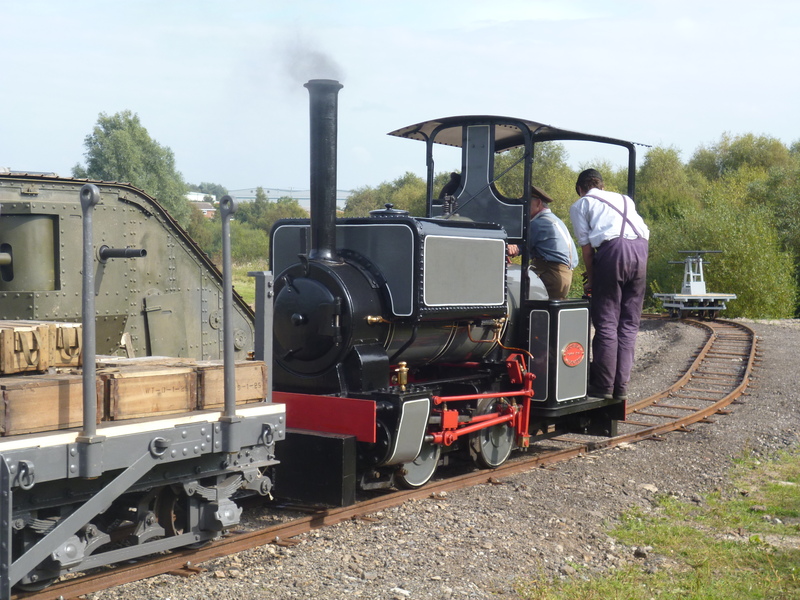 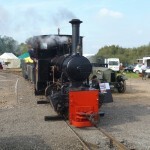 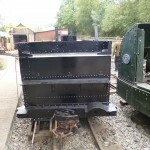 was the restored Baldwin 4-6-0T owned by the Greensand Trust and usually based at the Leighton Buzzard Railway. 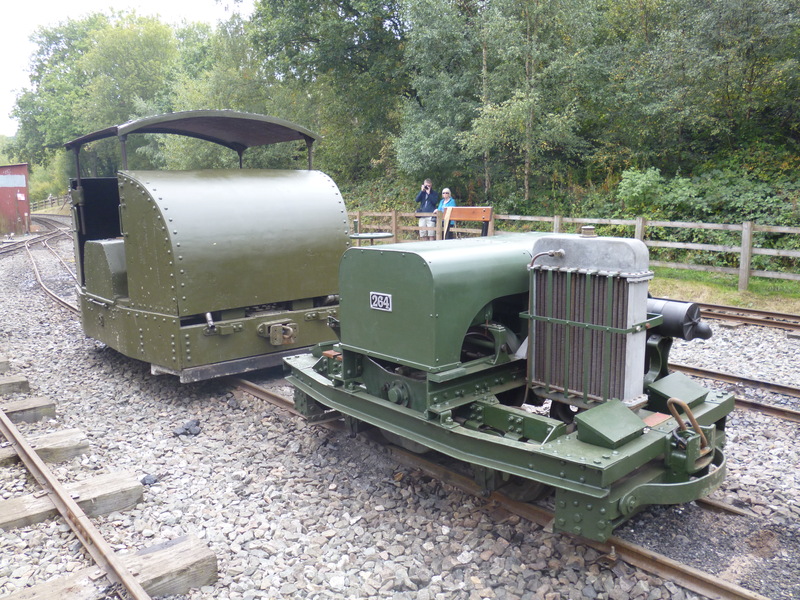 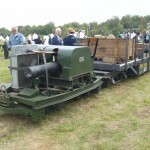 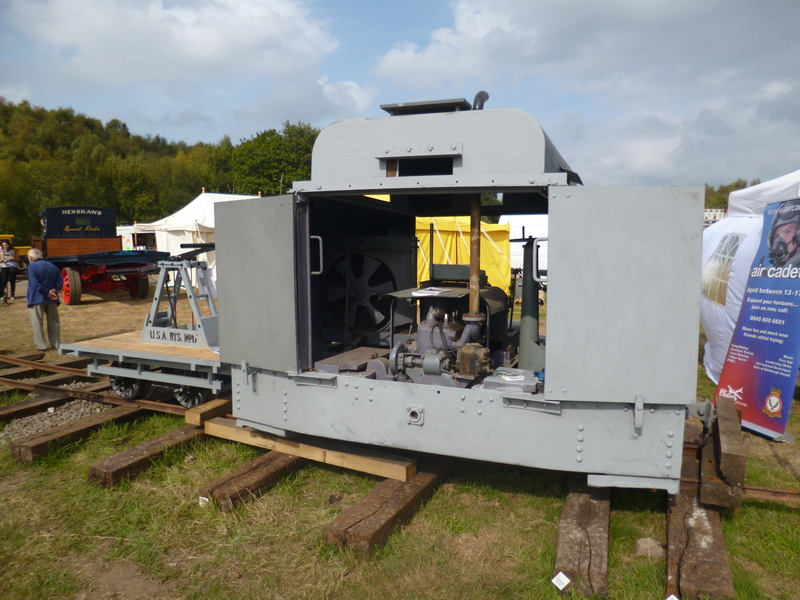 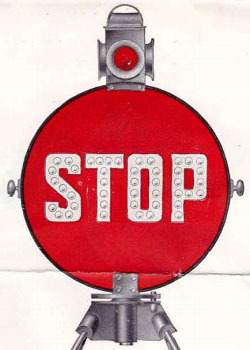 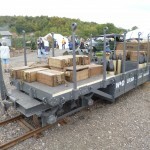 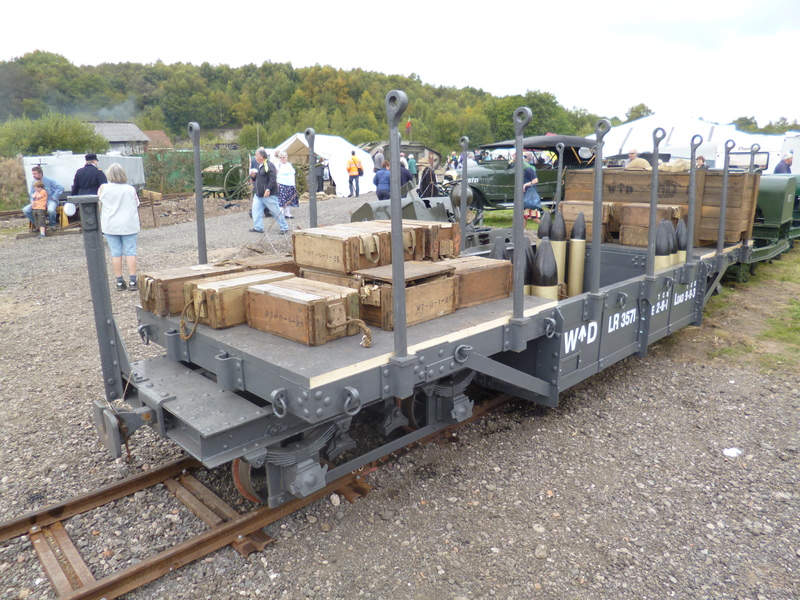 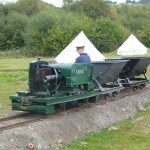 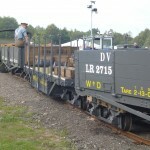 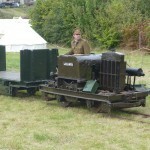 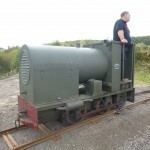 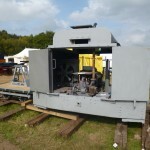 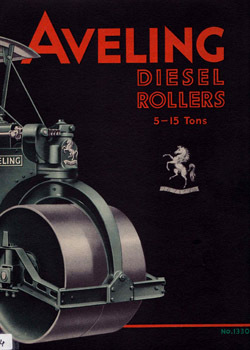 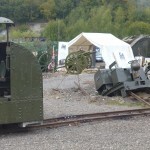 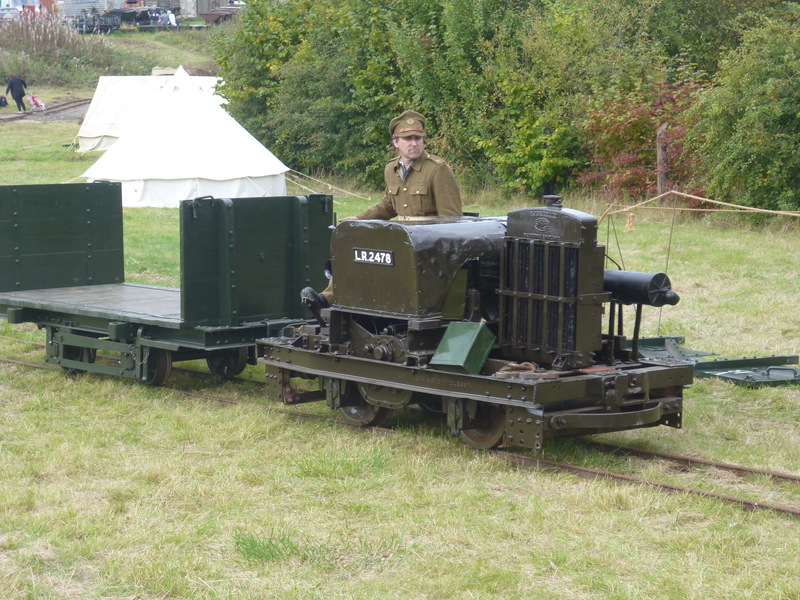 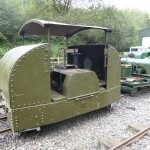 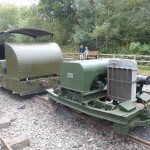 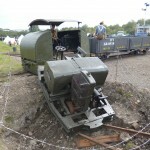 A stalward of the WDLR (War Department Light Railway) operation, many were sold after the war for civilian use, notably the Ashover Light Railway, Glyn Valley Tramway and Welsh Highland Railway, as well as many others sold overseas. 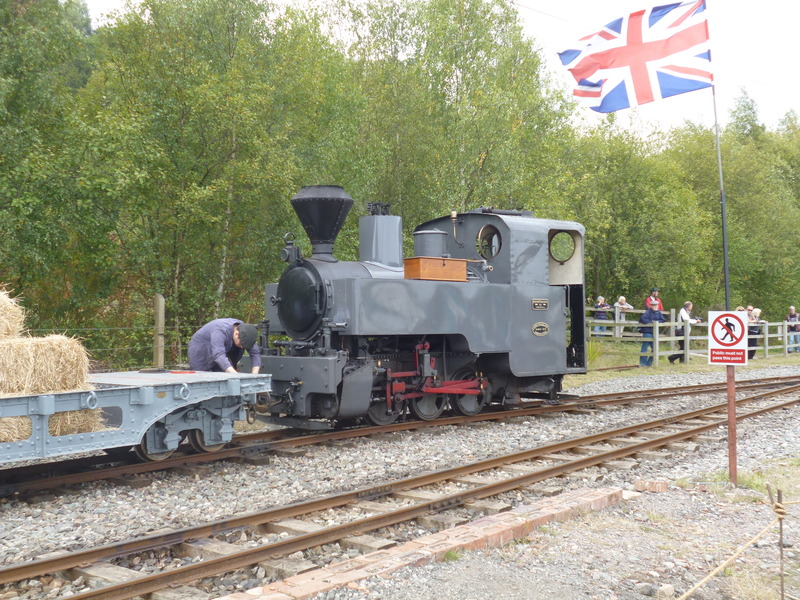 Below: The German light railways were represented by Feldbahn 0-8-0T No.1091 seen here on an allied train of US and French rolling stock, to contrast with the stock restored of British (so WDLR) origin which we will see later on. 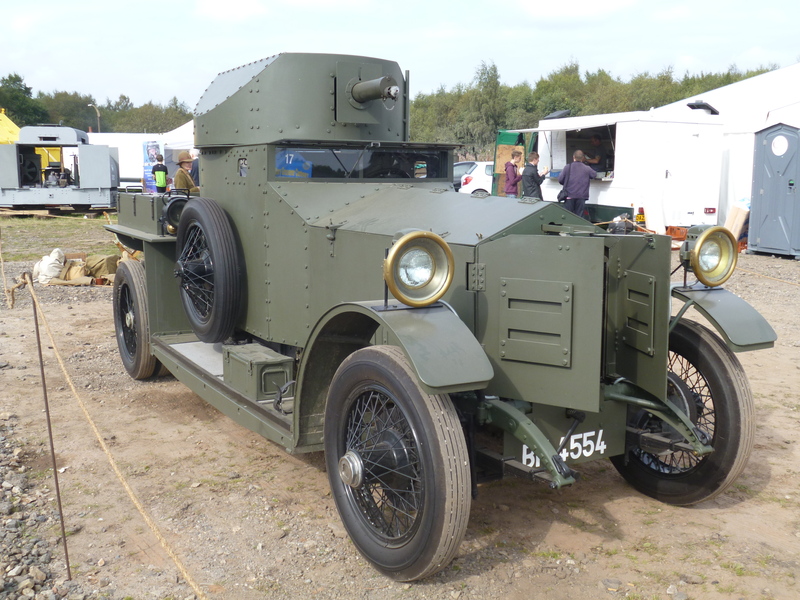 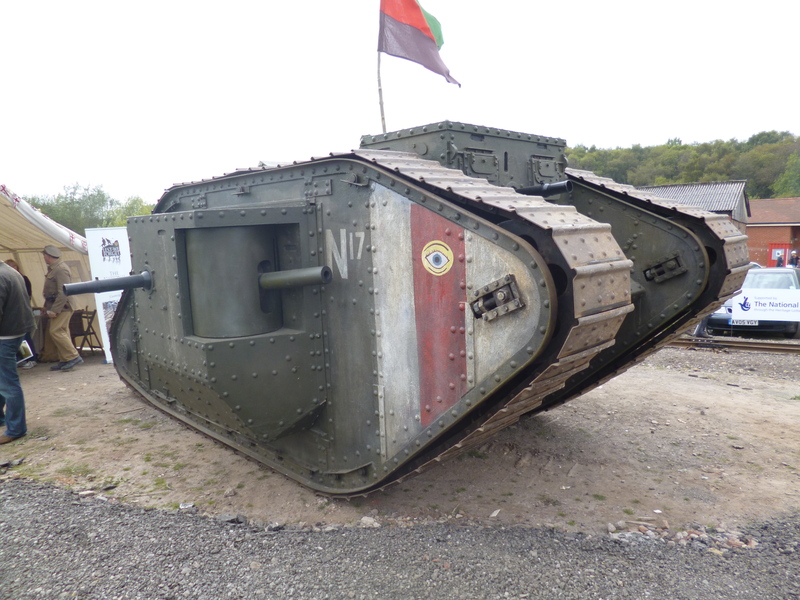 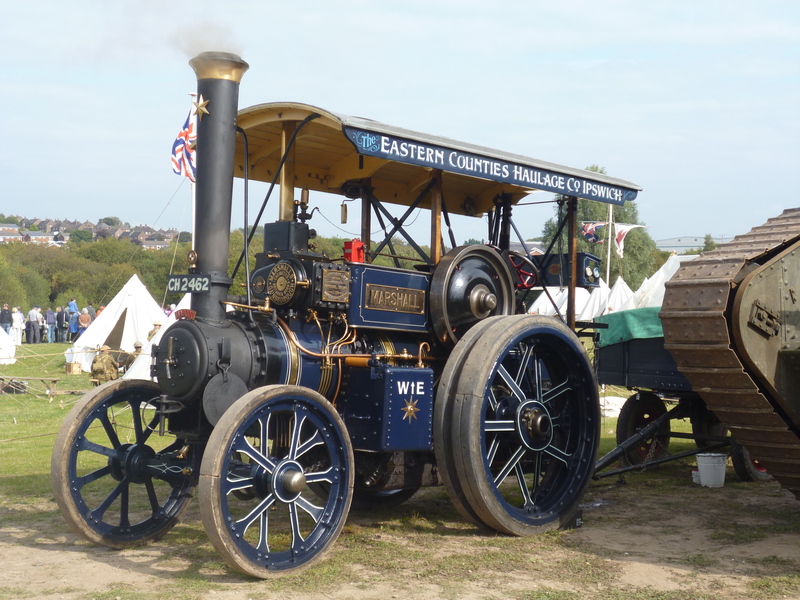 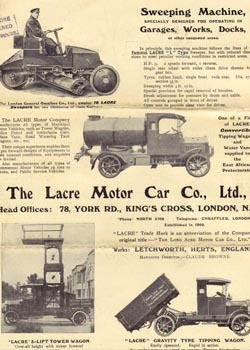 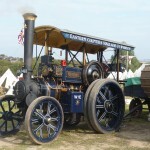 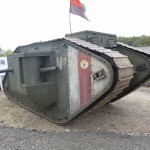 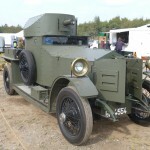 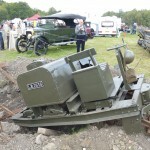 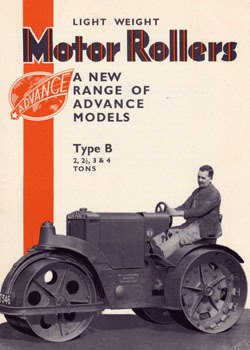 Below: A 1918 built armoured Simplex with a Dorman 40HP engine. 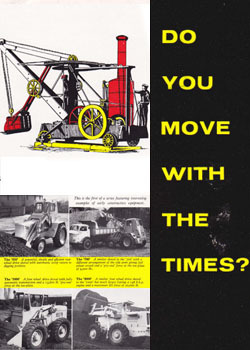 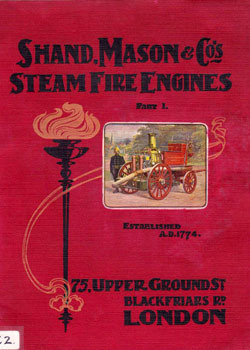 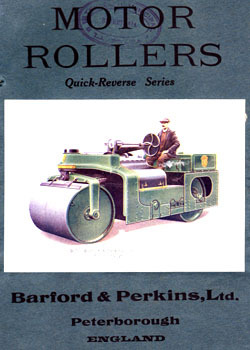 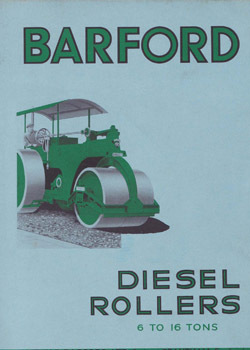 Simplex was the name for the petrol tractors built by Motor Rail in Bedford, who produced 20HP and 40HP locomotives for the WDLR. 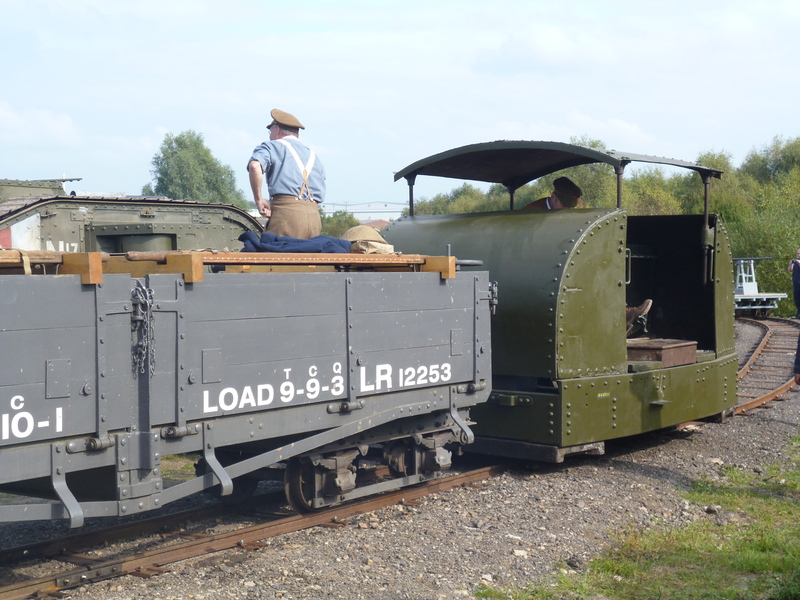 The 40HP locomotives were supplied in open, protected (lightly armoured) and fully protected (like this example, LR2182) formats. 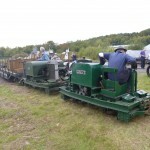 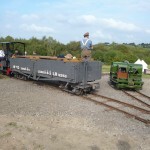 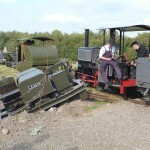 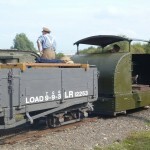 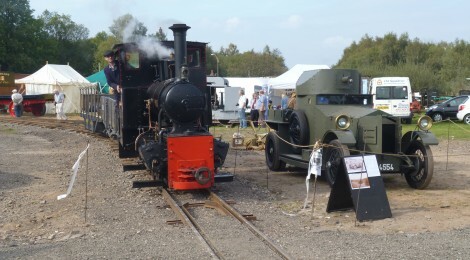 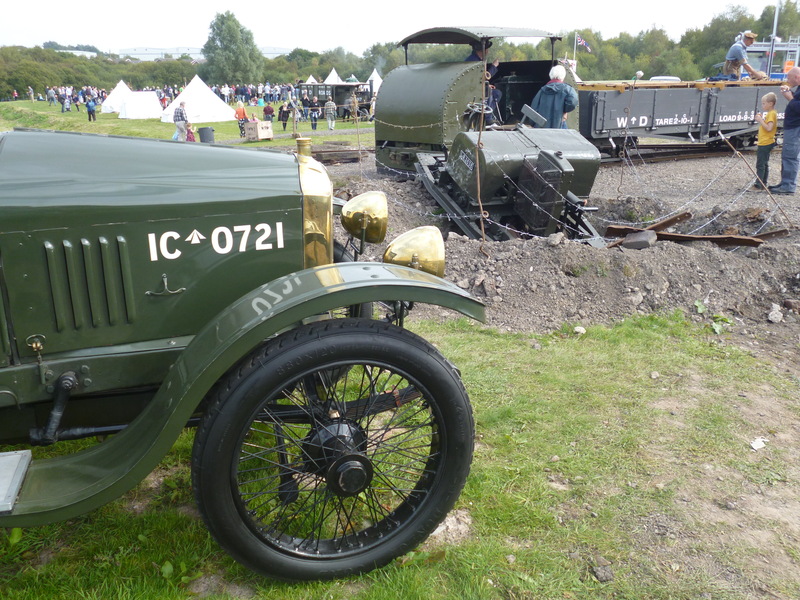 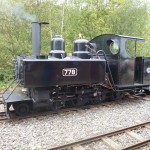 Below: Two more Simplex locos – in the background is a 40HP Open type, in the foreground is a very imaginatively displayed 20HP Bow-Frame type locomotive. 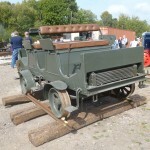 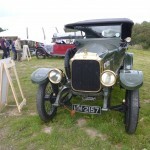 This was quickly made ready for display for this event, being unrestored. 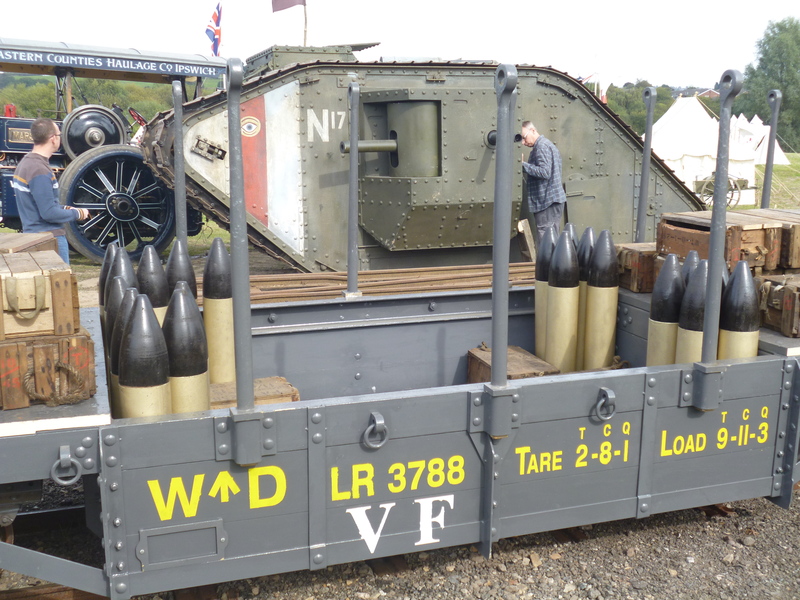 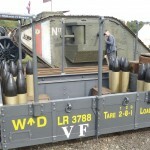 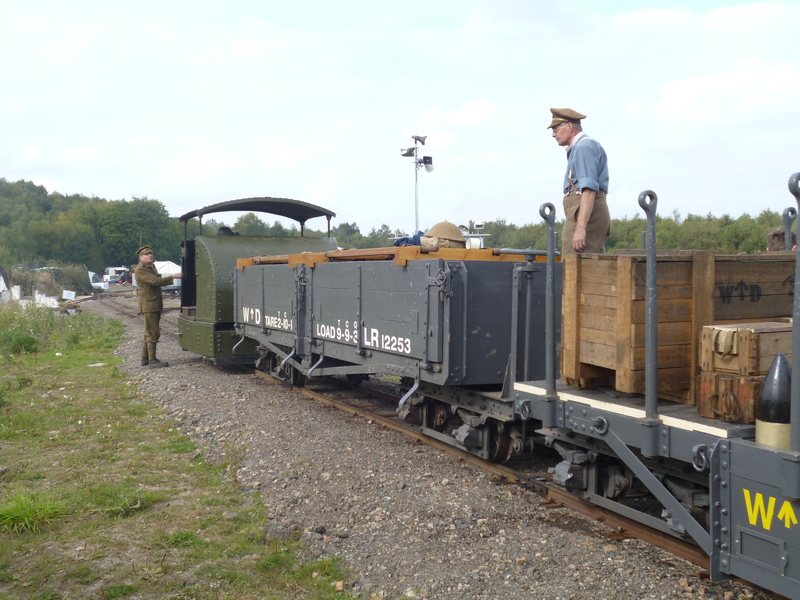 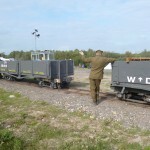 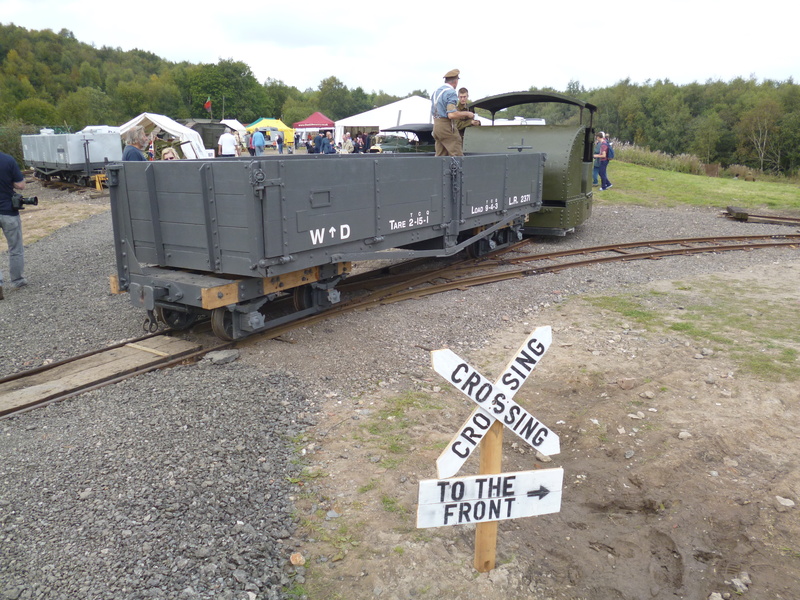 The details around the site were very well thought out and executed, and included ammunition boxes and shells in wagons, stretchers atop wagons, appropriate signs taken from various contemporary photographs and volunteers clad in WW1 uniforms across the operation. 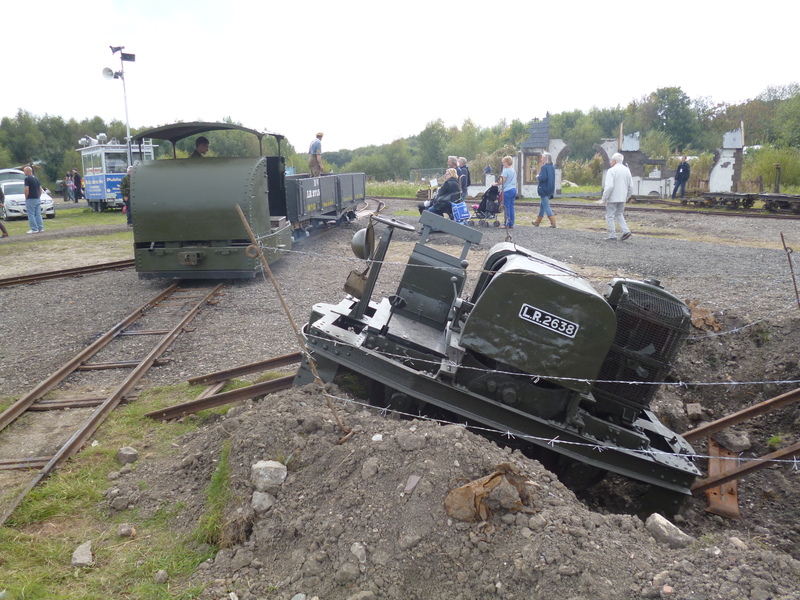 Below: A dramatic (and noisy!) 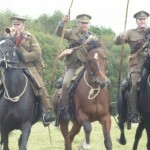 display of cavalry was created by the 16th Lancer Display Troop, seen here charging during a display that covered numerous manoeuvres performed by such soldiers and their horses. 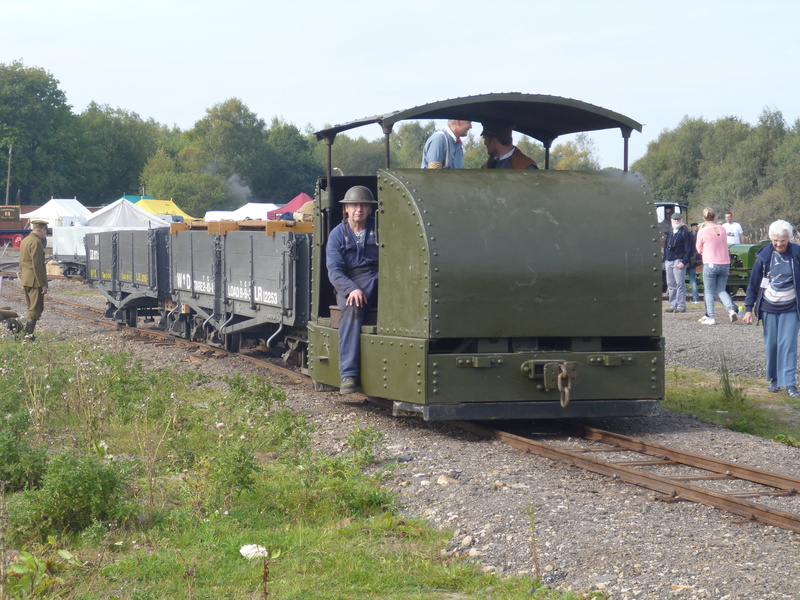 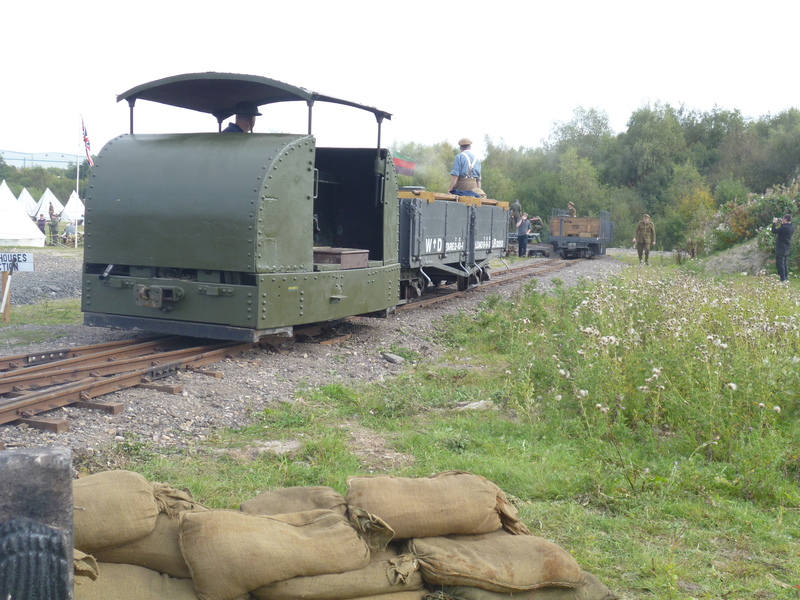 Below: On the field railway, Nick Williams brings his 20HP Bow-Frame up from the trenches area with a restored Class A wagon. 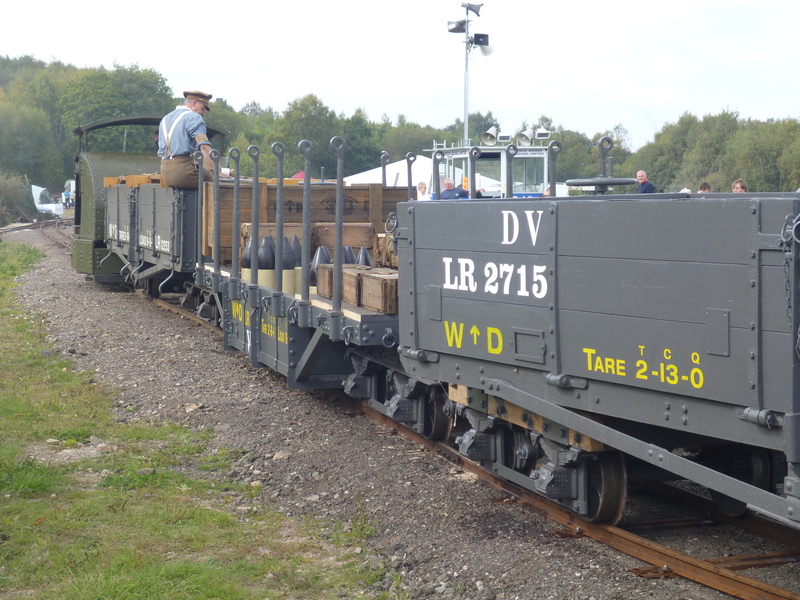 All of the WDLR wagons were designated by type, indicated by a letter. 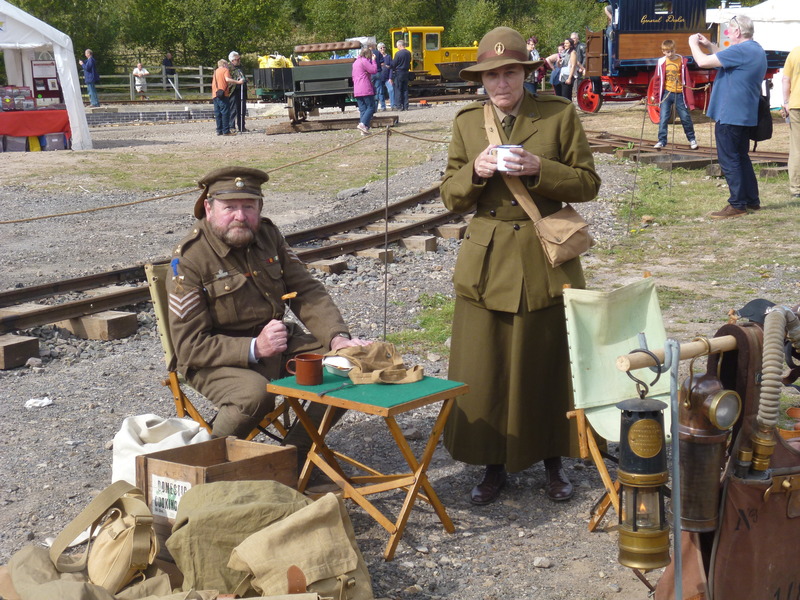 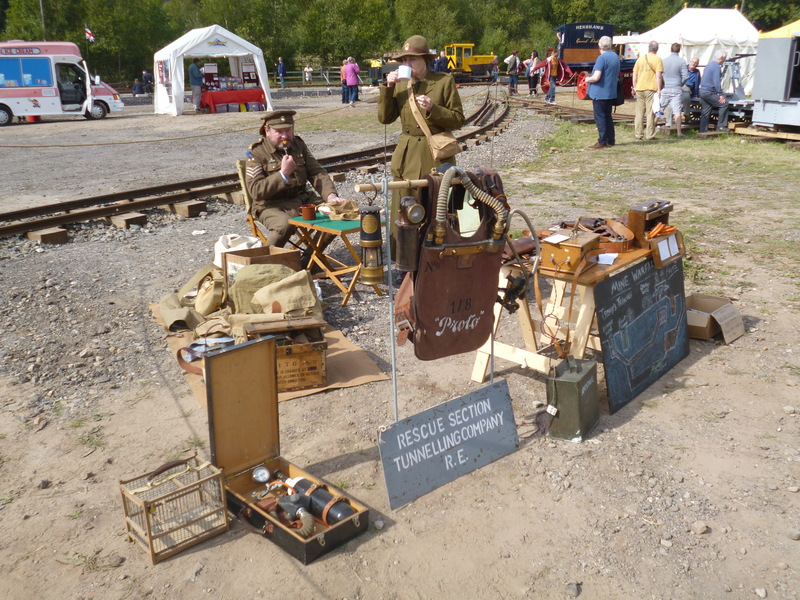 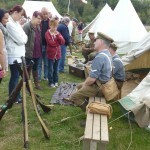 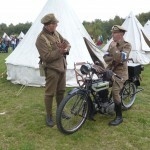 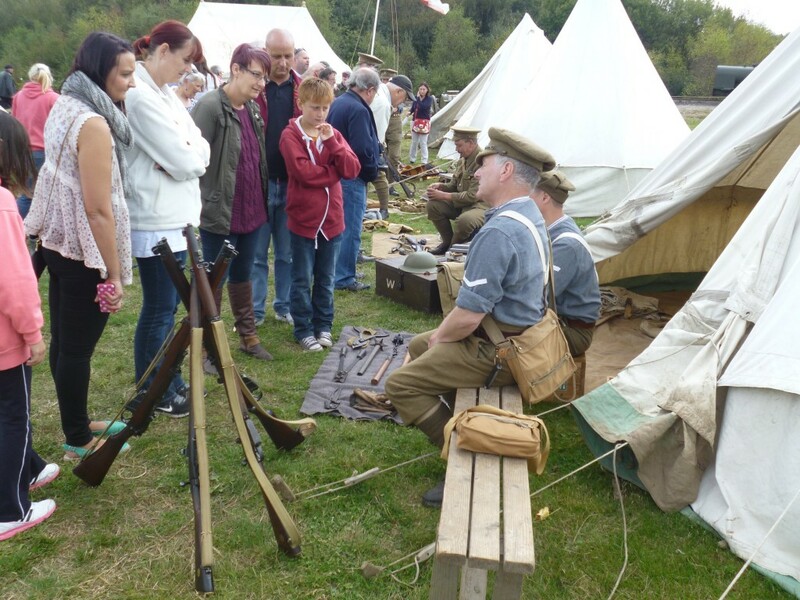 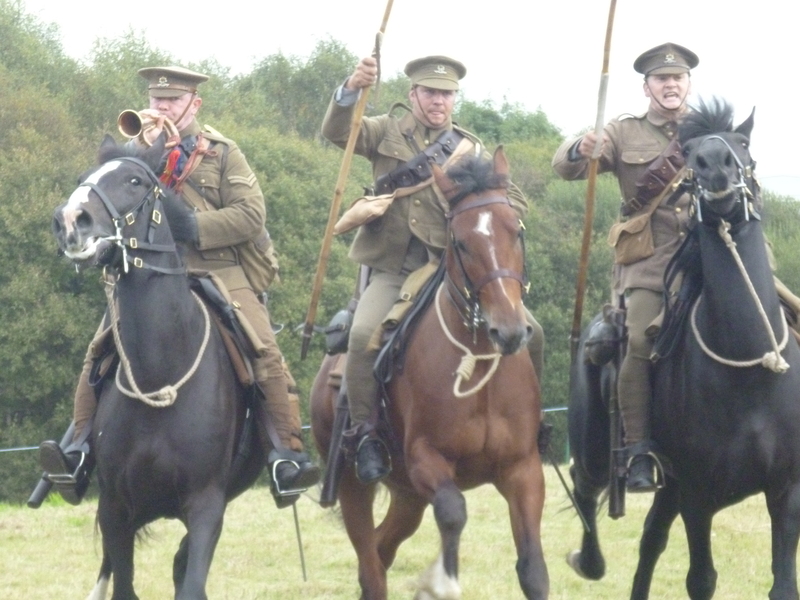 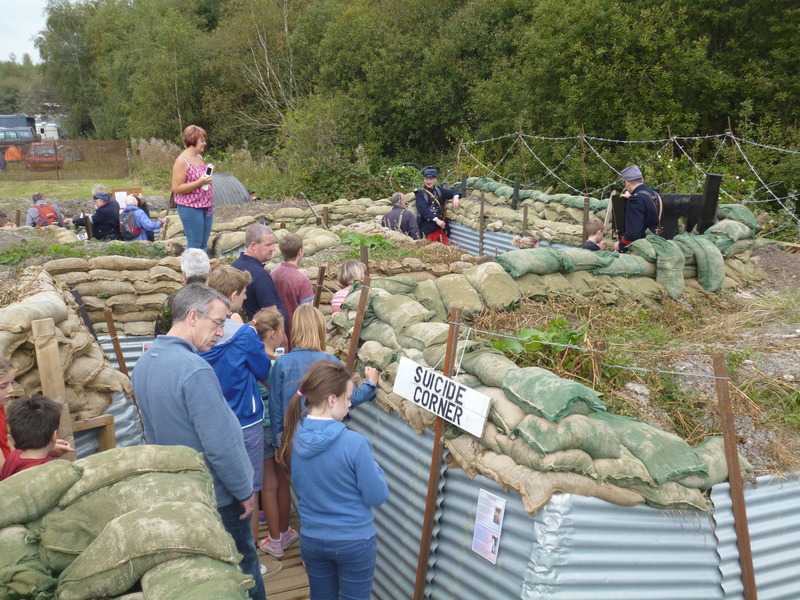 Below: The Great War Society attended with a large camp, engaging with visitors whilst displaying and explaining their equipment for both living and fighting. 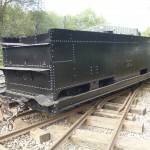 Below: Two more Bow-Frames are seen with a Class F wagon, fitted with a well and stanchions but based on the ubiquitous bogie Class D, of which more below. 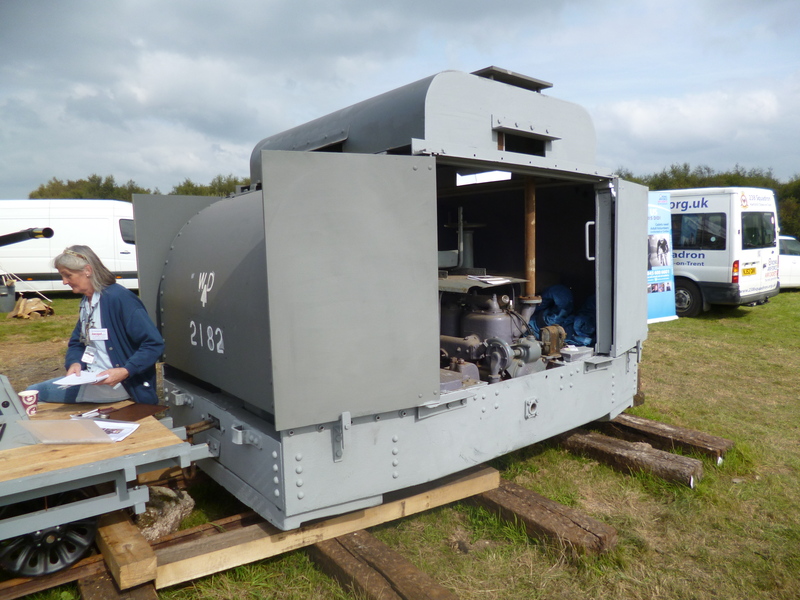 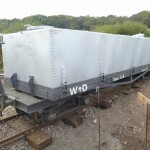 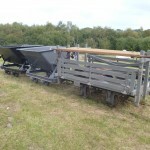 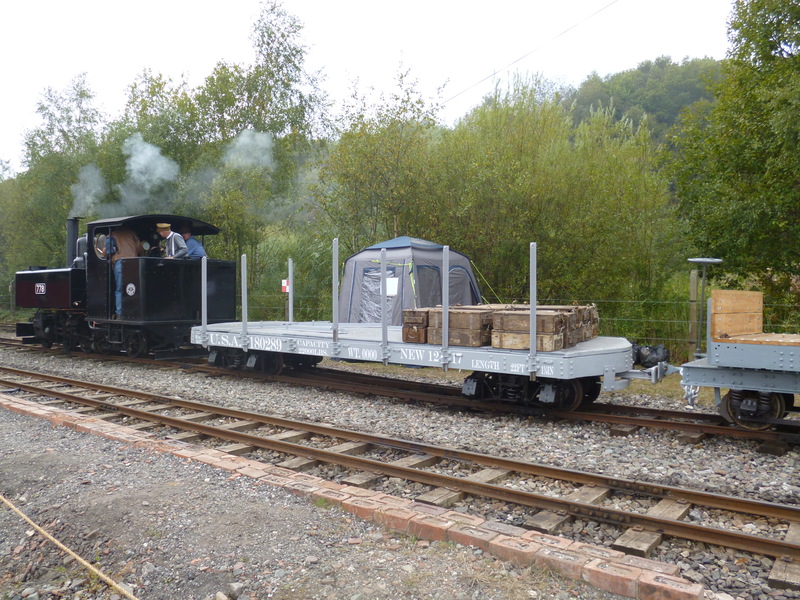 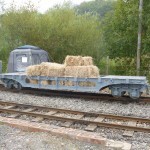 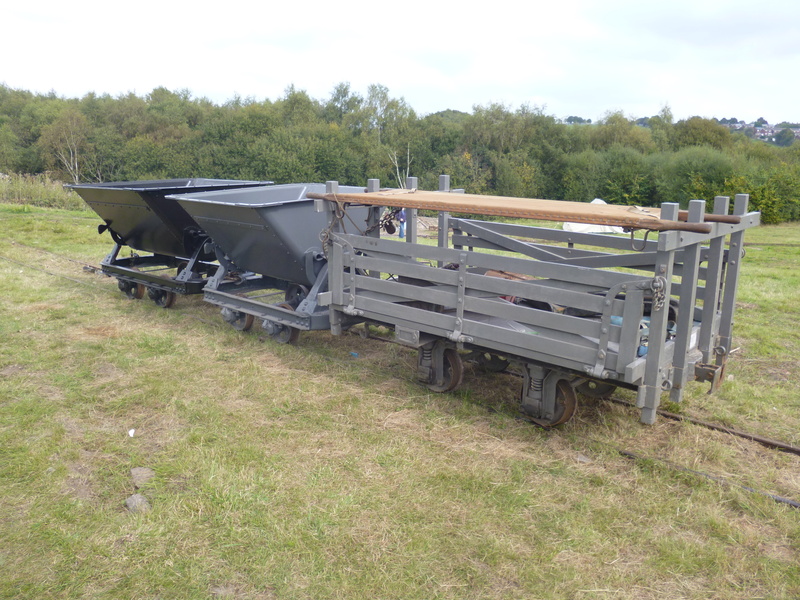 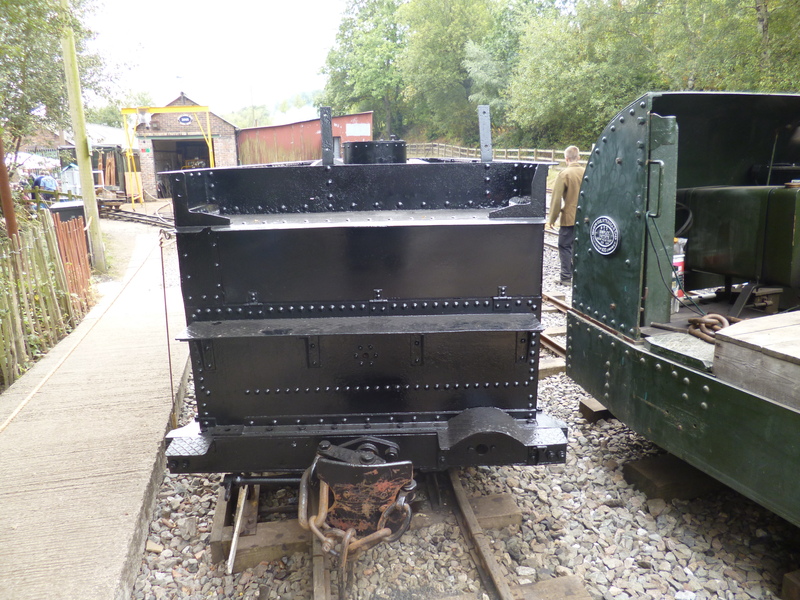 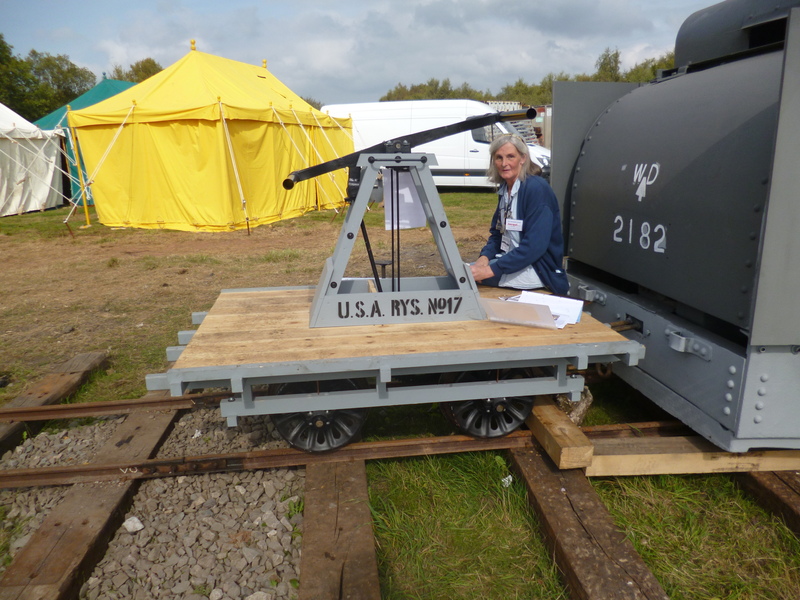 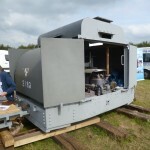 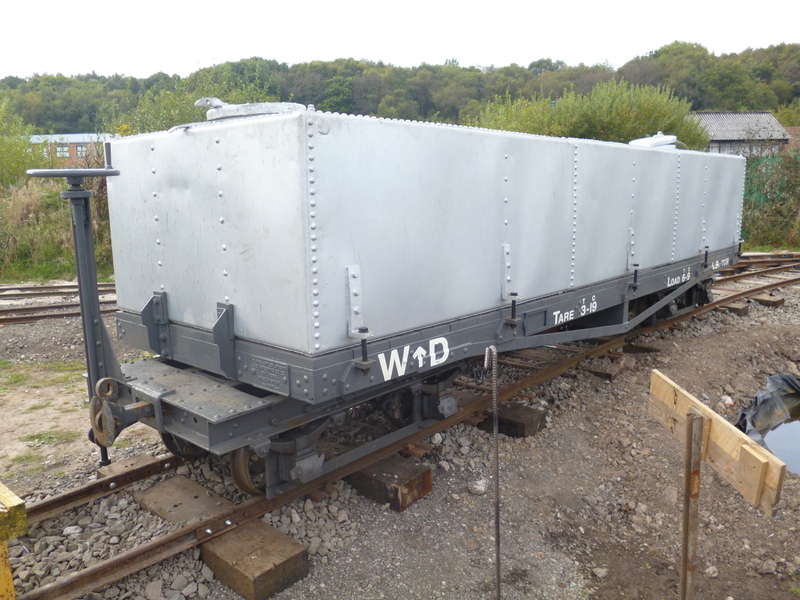 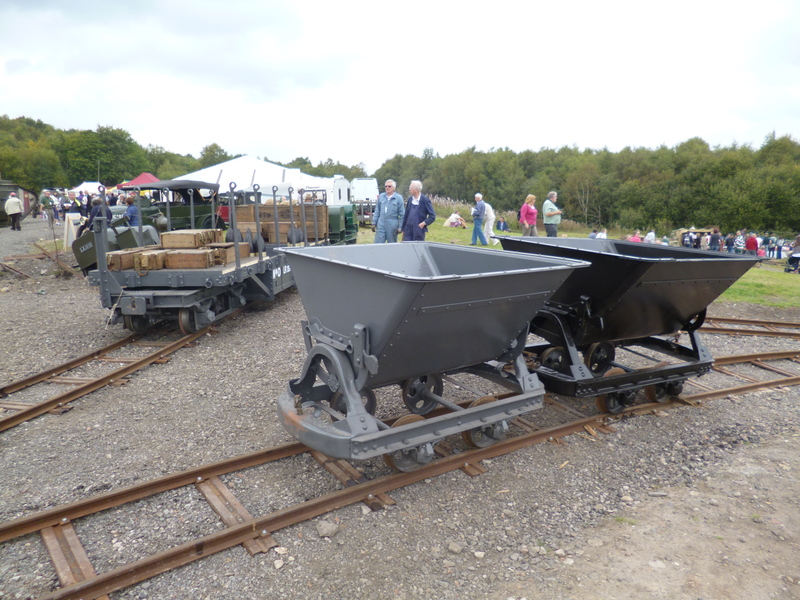 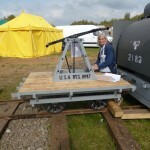 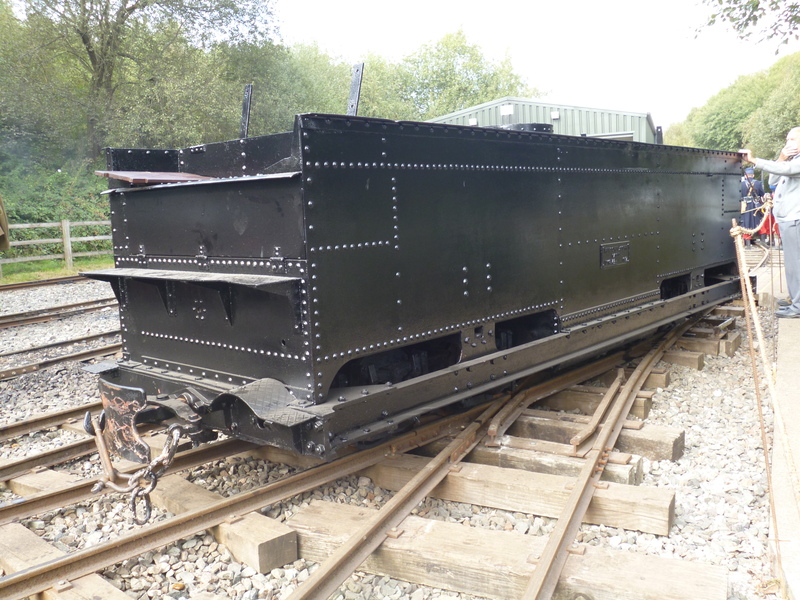 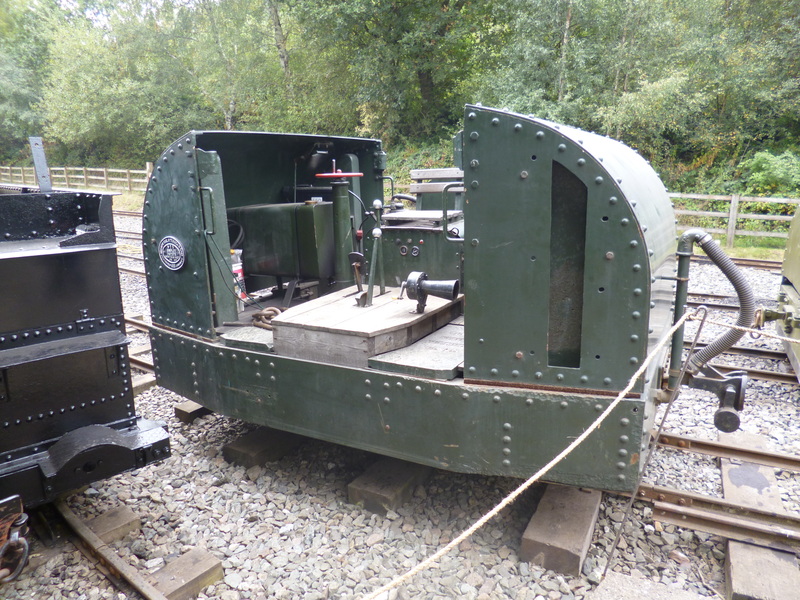 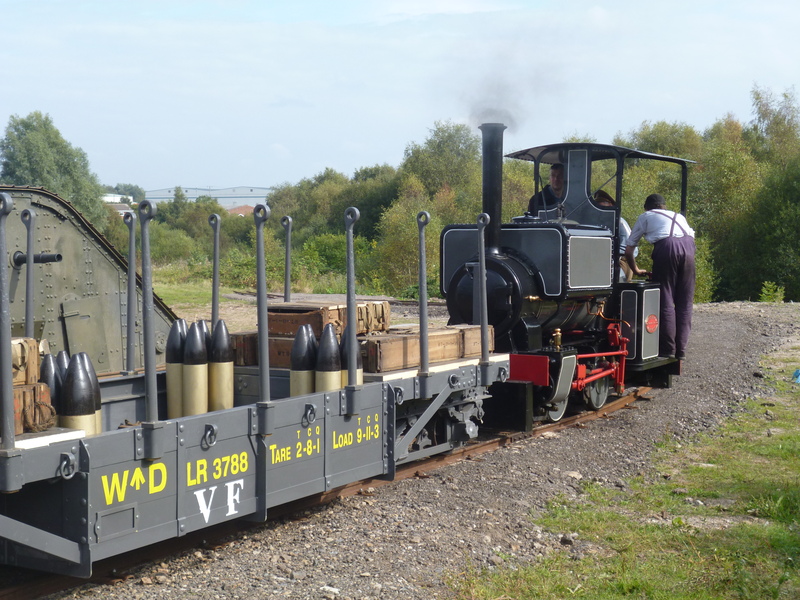 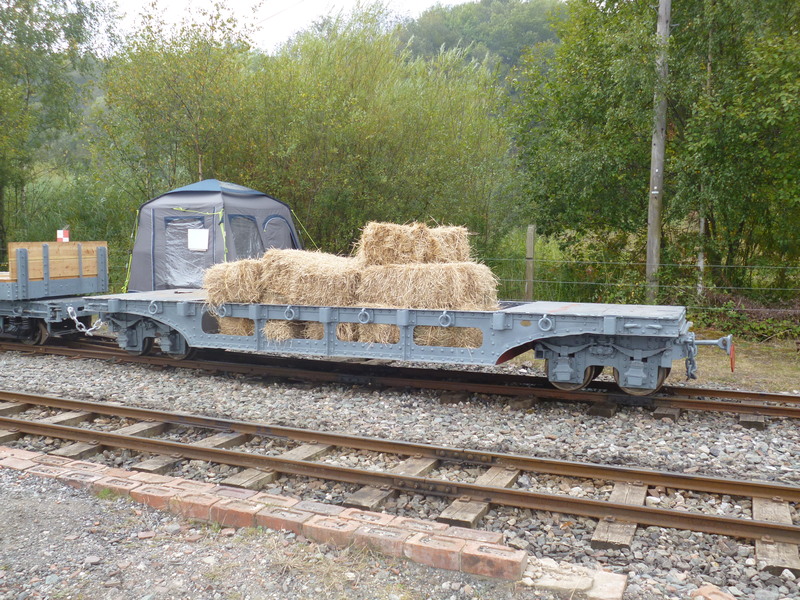 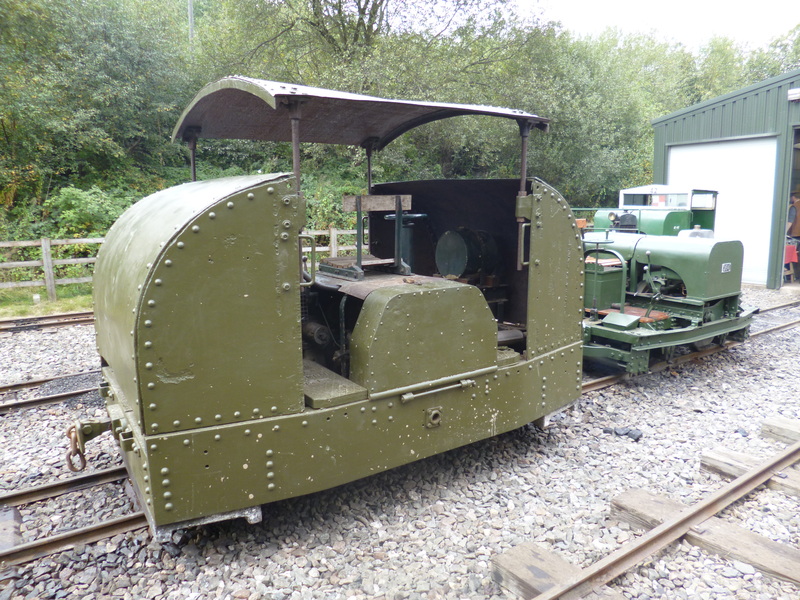 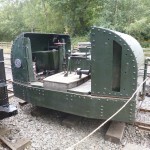 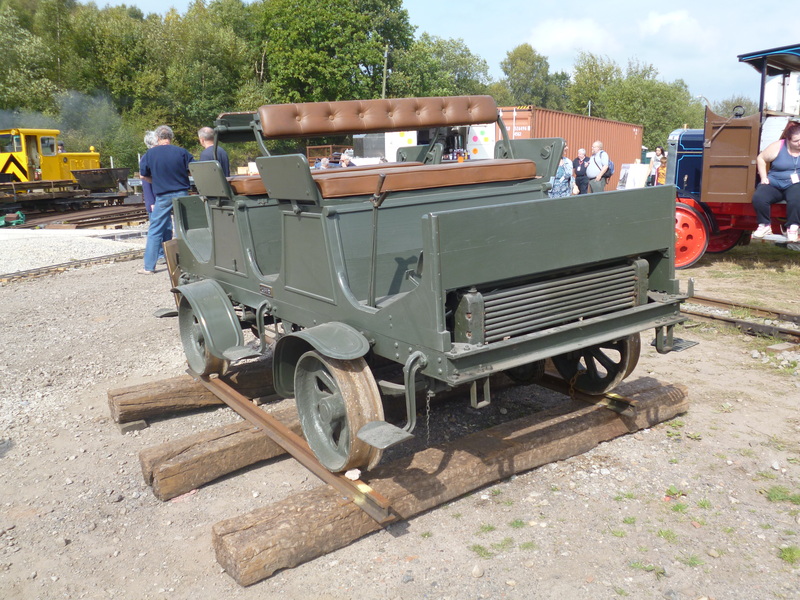 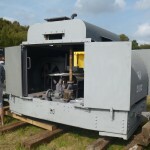 This wagon has been restored by members of the MRT and is based at Apedale. 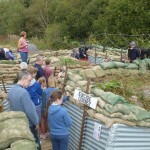 Below: Part of the trenches exhibit, which occasionally simulated gas attacks and evacuations. 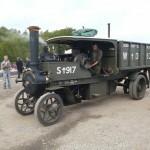 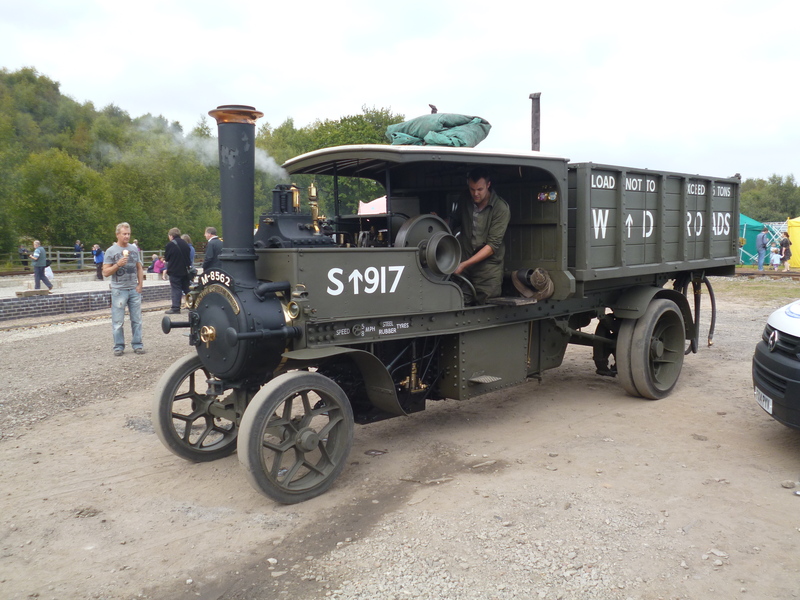 Below: This Foden W type had an interesting history, being a genuine WD machine which worked in France and remained there until discovered in a barn in the 1970s, whereupon it was returned to the UK for restoration. 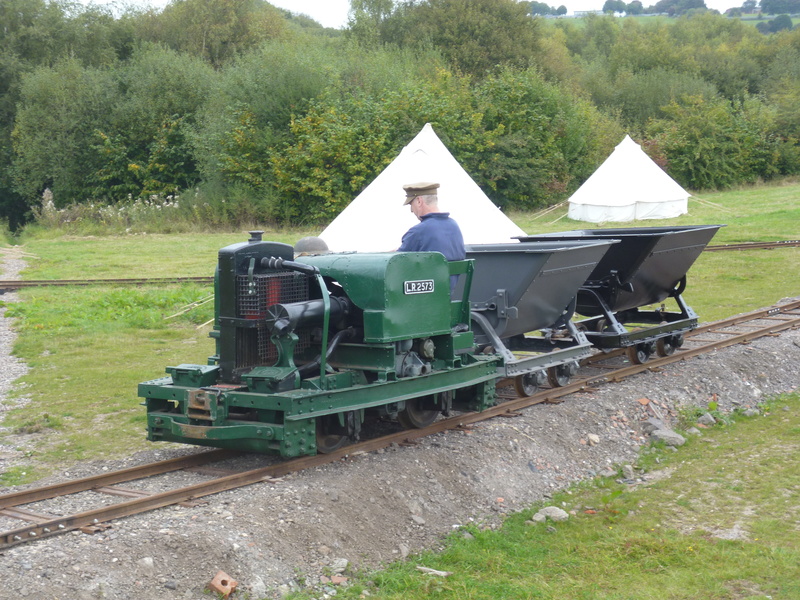 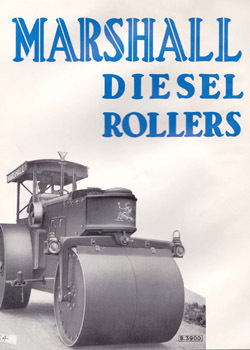 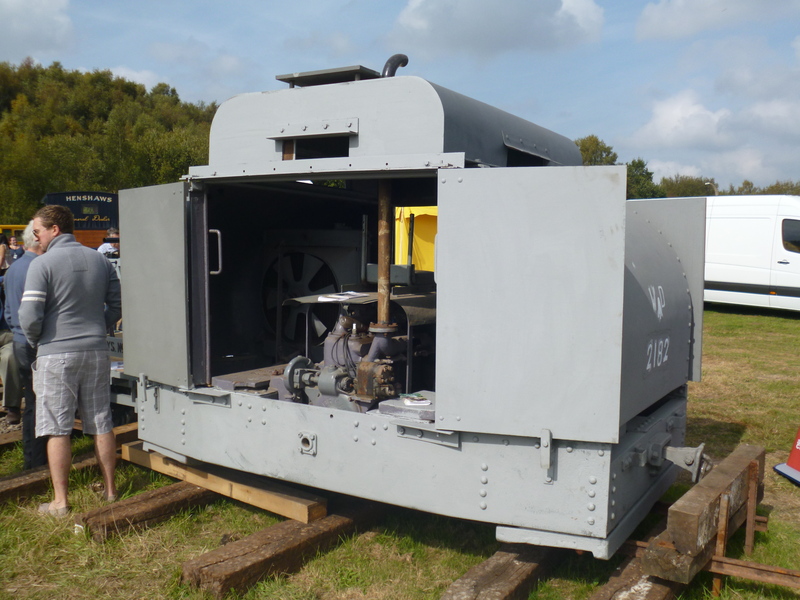 Below: A contrast in Simplex types, with the Open 40HP type to the fore, usually based at Amberley Chalk Pits Museum. 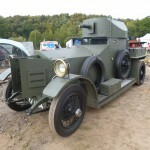 Below: The Rolls Royce armoured car was developed for use across the battle zones in WW1 and remained in use thereafter. 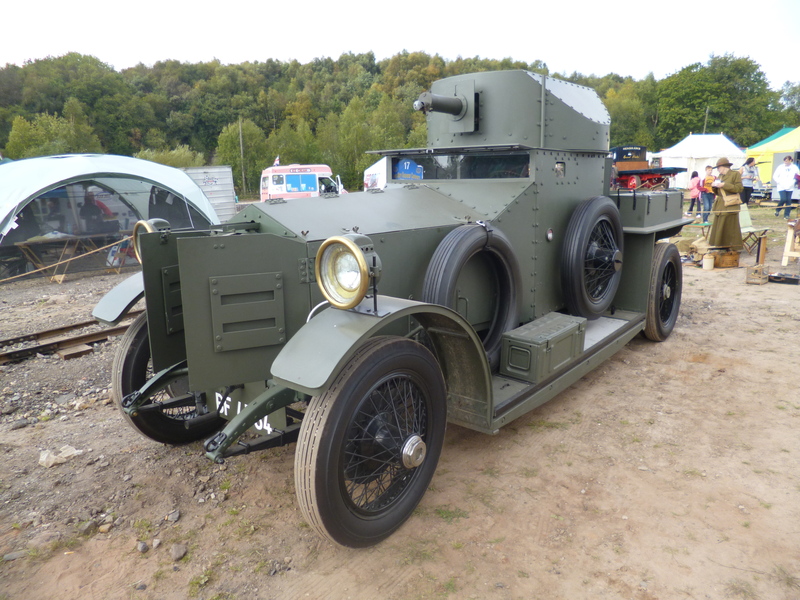 This example is based upon a 1925 example and is today owned by the Duke of Westminster. 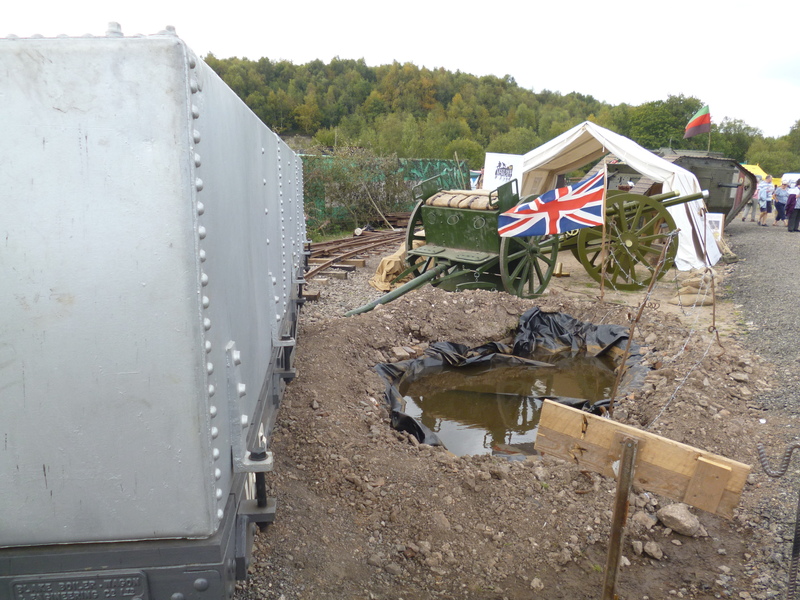 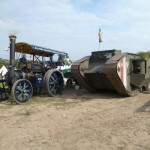 Below: A view which includes the replica 4/5 scale tank owned by Lest We Forget Ltd.
Below: Hedd Jones attended with his 5 ton Marshall steam tractor, the history of which includes a number of years in war service after it was requisitioned by the war office. 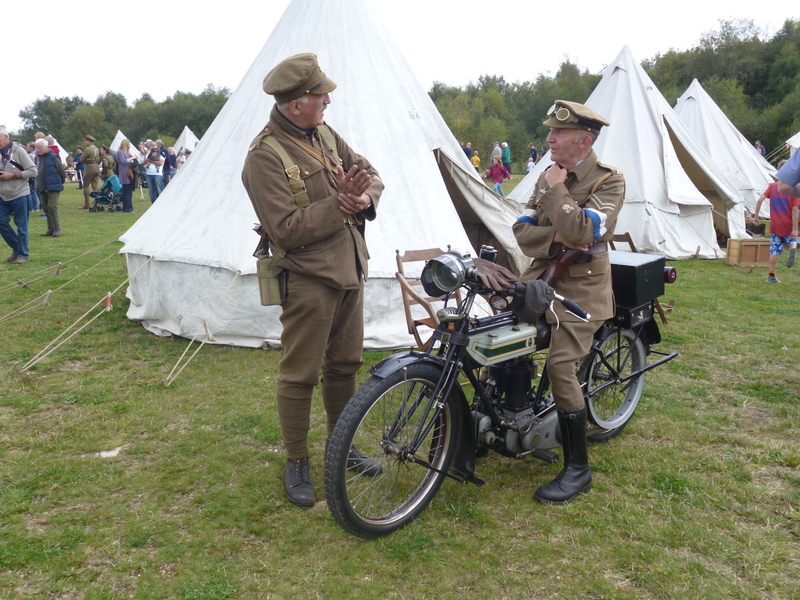 Below: Probably one of the most photographed cameos of the event!!! 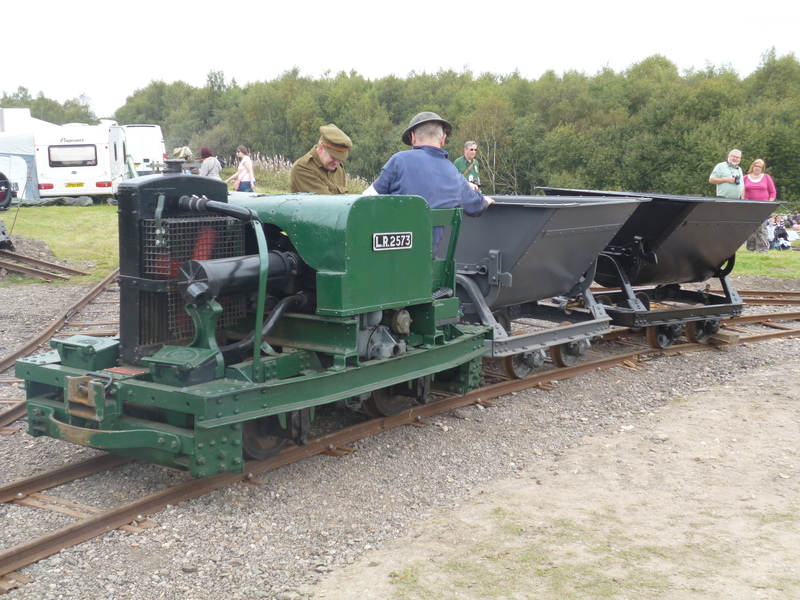 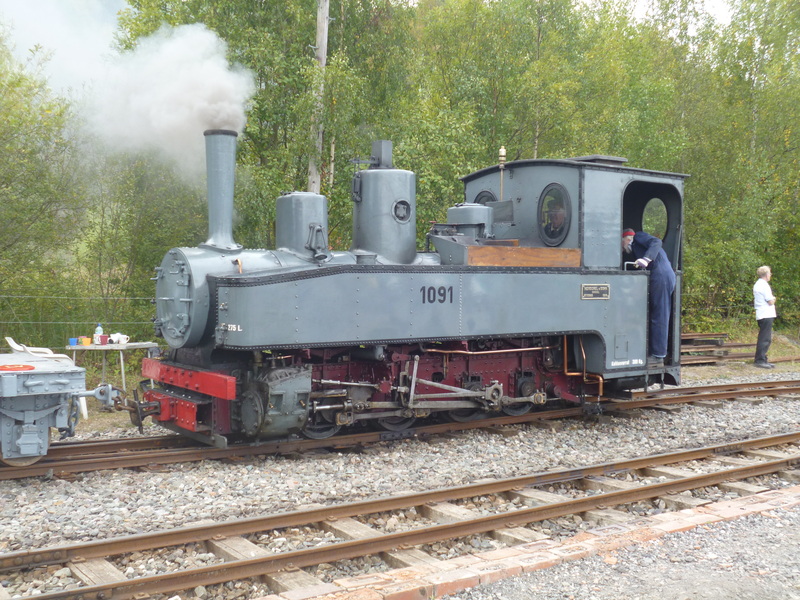 Here Kerr Stuart Wren No.3114 ( a past Beamish visitor) engages in some shunting. 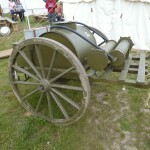 It was ordered by the Ministry of Munitions for airfield construction work in 1918. 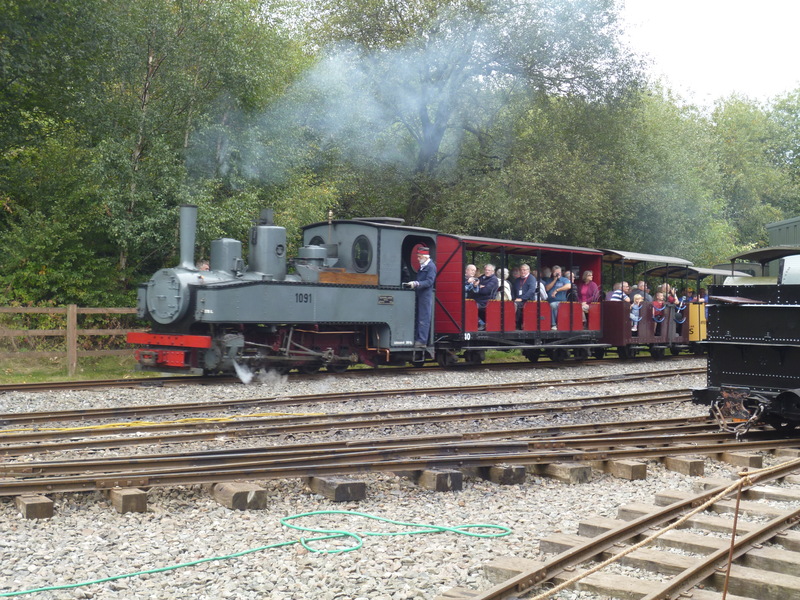 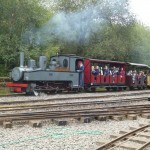 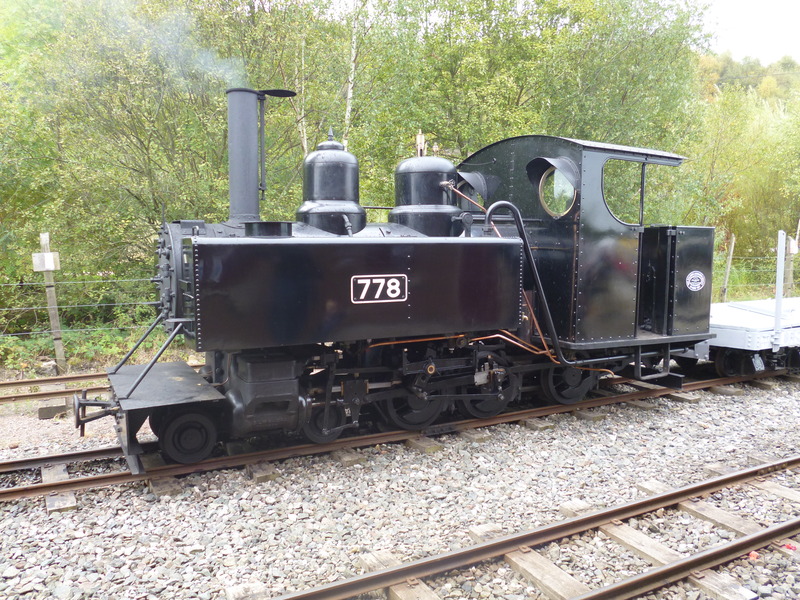 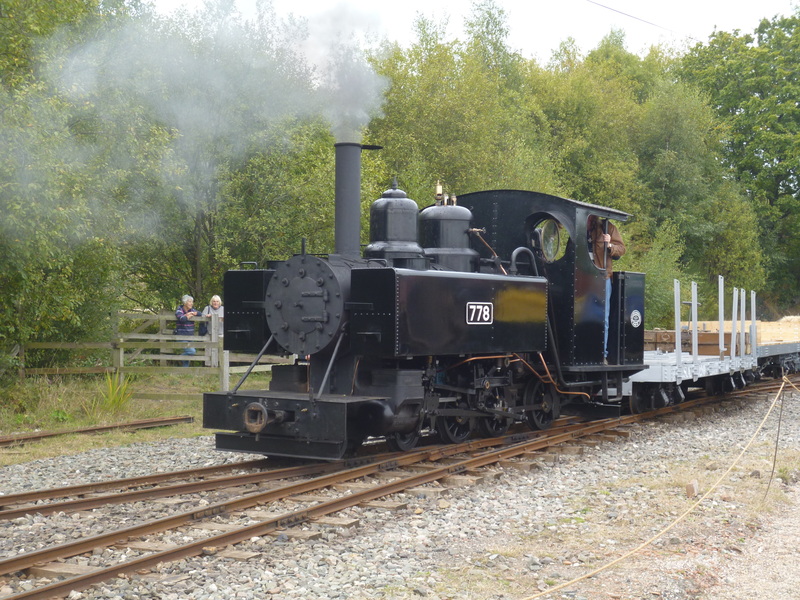 It is now based on the Vale of Rheidol Railway and can be found, in season, at Devils Bridge where driver experiences are offered to passengers arriving there from Aberystwyth. 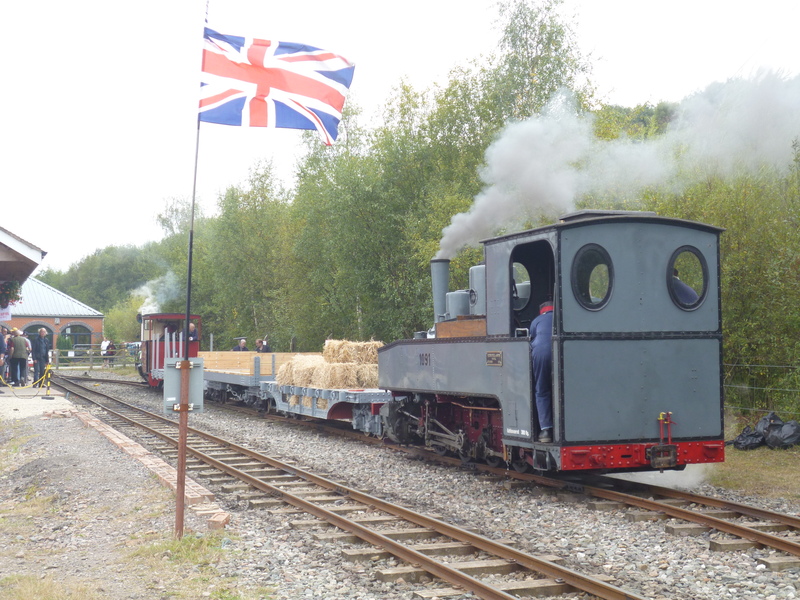 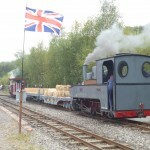 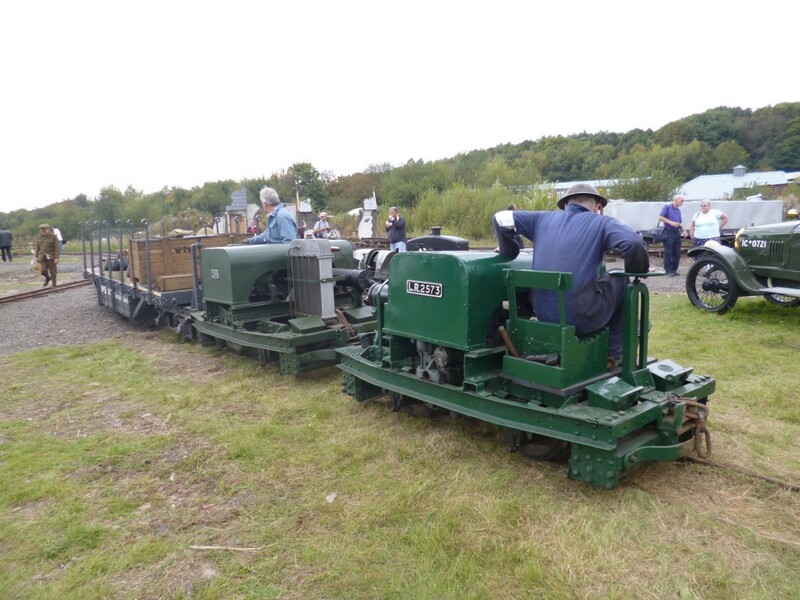 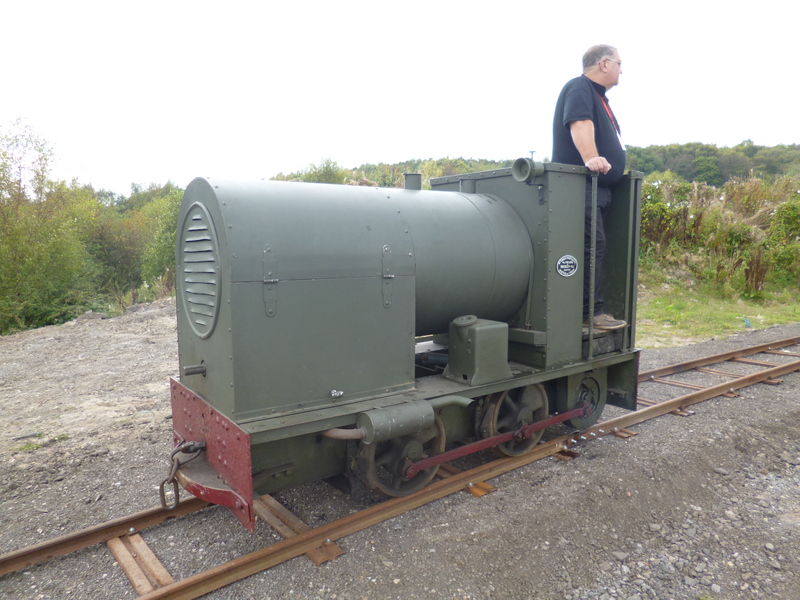 Below: We close the post with a photo of the Hudswell Clarke seen being launched into traffic a few posts ago, featuring the Statfold Barn Railway. 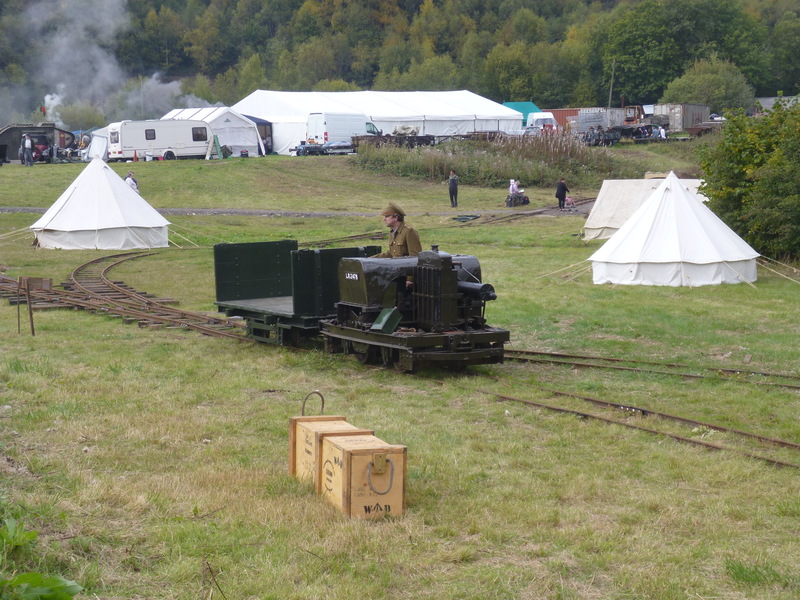 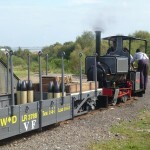 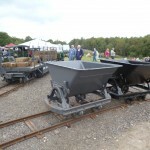 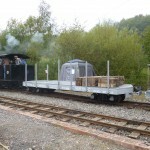 Here it is seen with appropriate wagons in tow entering the field railway area. 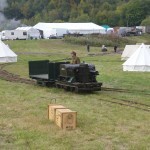 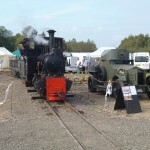 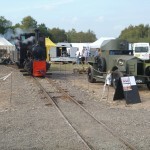 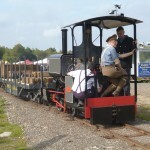 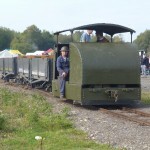 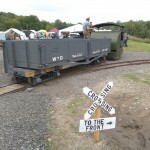 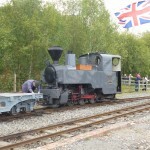 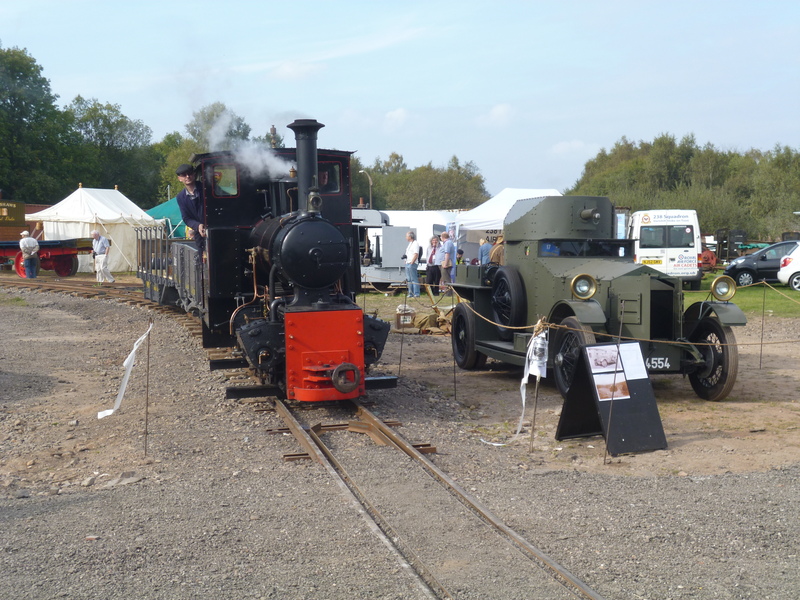 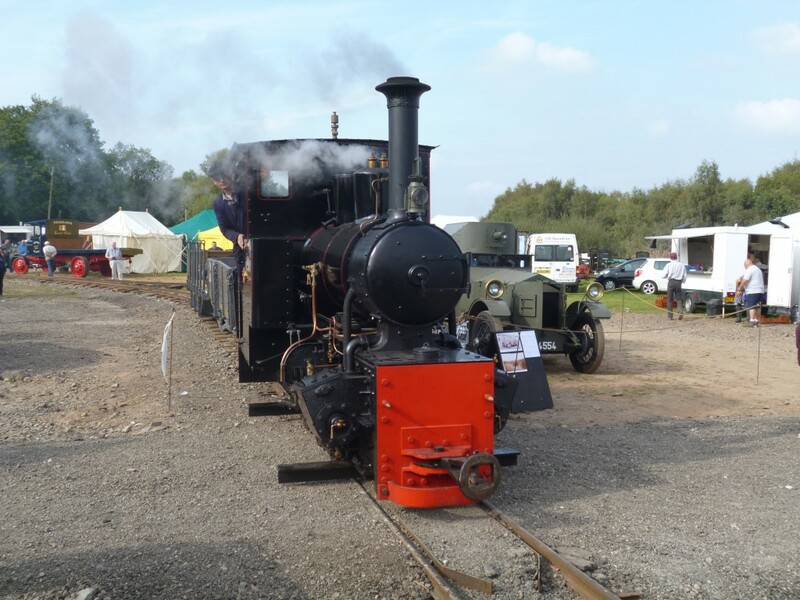 The main passenger line is in the left background and this operated throughout the event with the choice of Hudswell Clarkes, Baldwin, Feldbahn and Kerr Stuart Joffre. 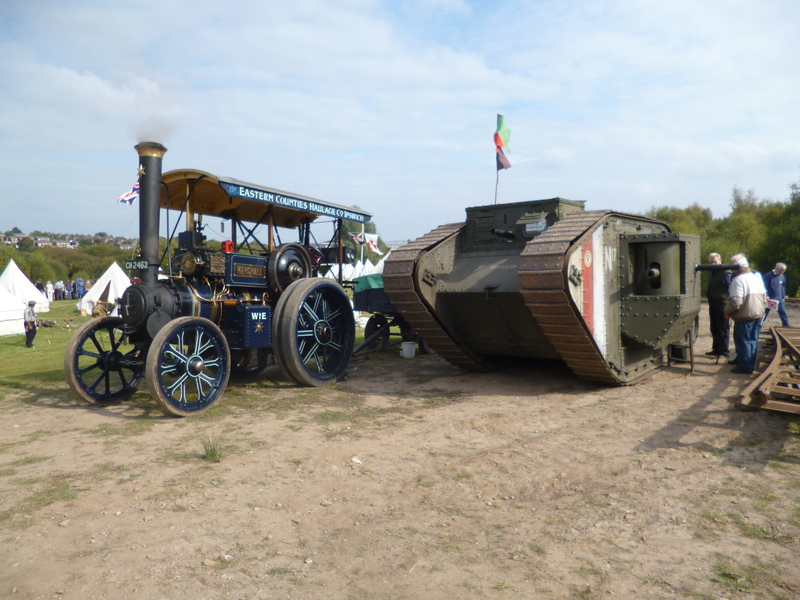 A very impressive line up!